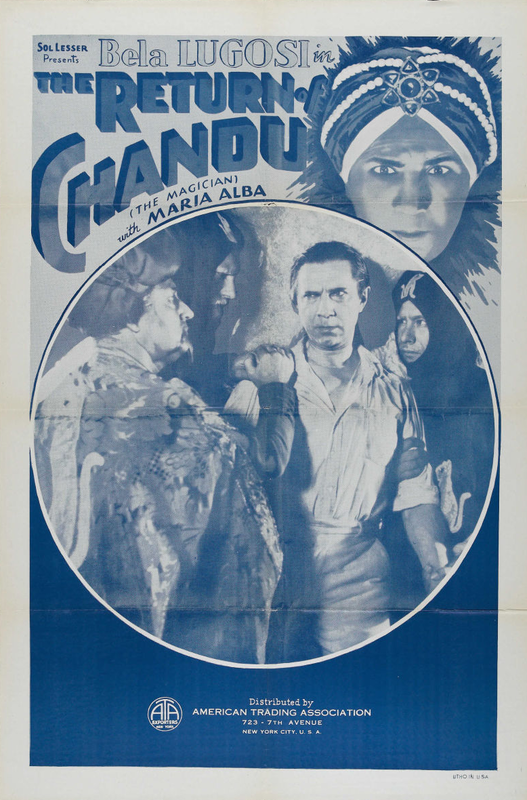 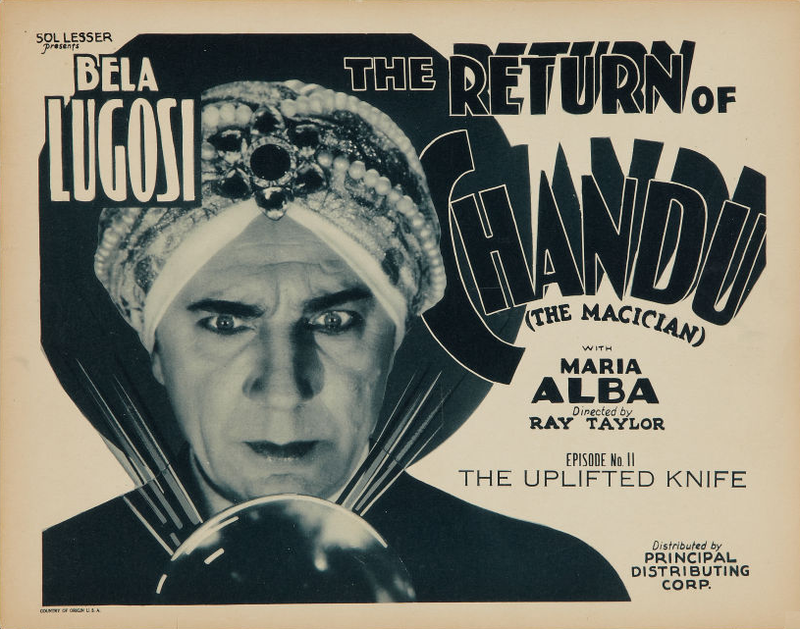 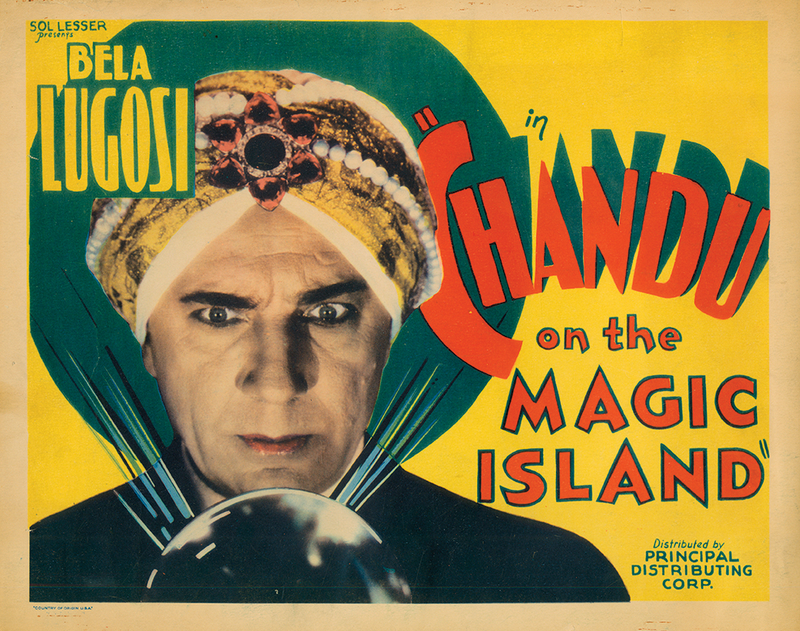 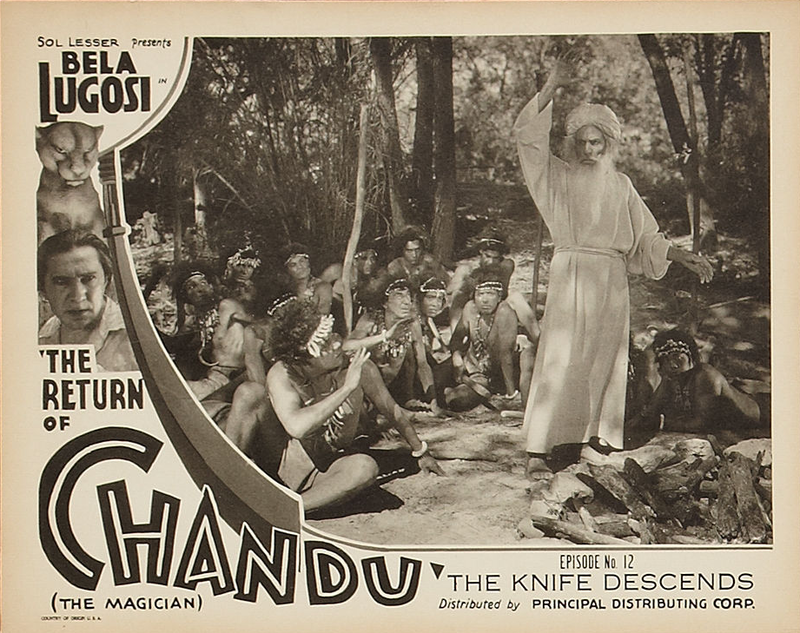 Bela Lugosi appeared as the evil Roxor, sworn enemy of Chandu, in the 1932 film Chandu the Magician. 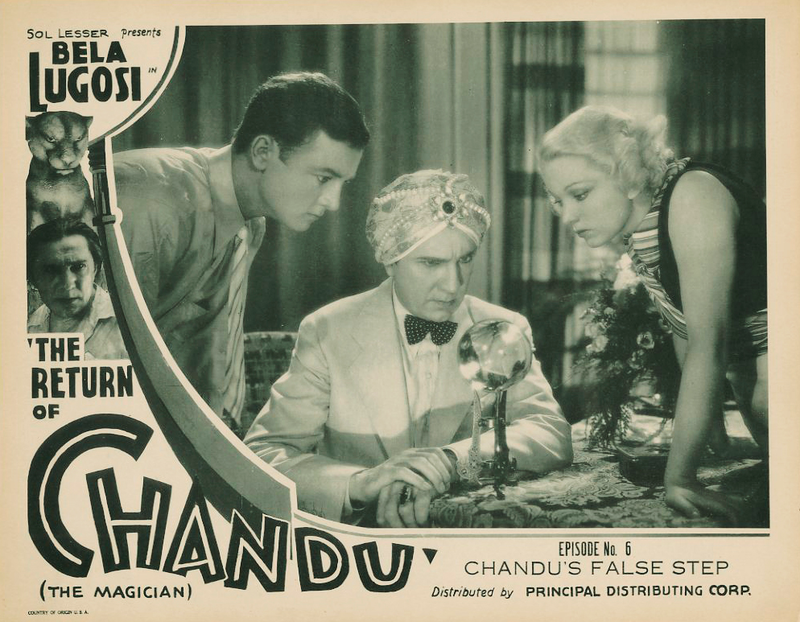 For this serial he took the role of Chandu. 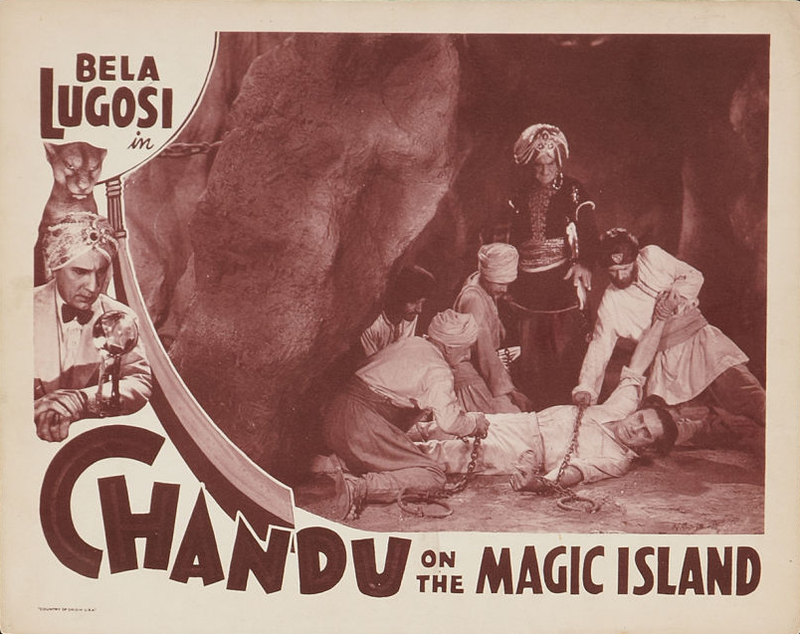 Over twelve episodes, Chandu battles the evil Ubasti cult who are intent on sacrificing his love, the Egyptian Princes Naadji, to resurrect their long-dead goddess Ossana. 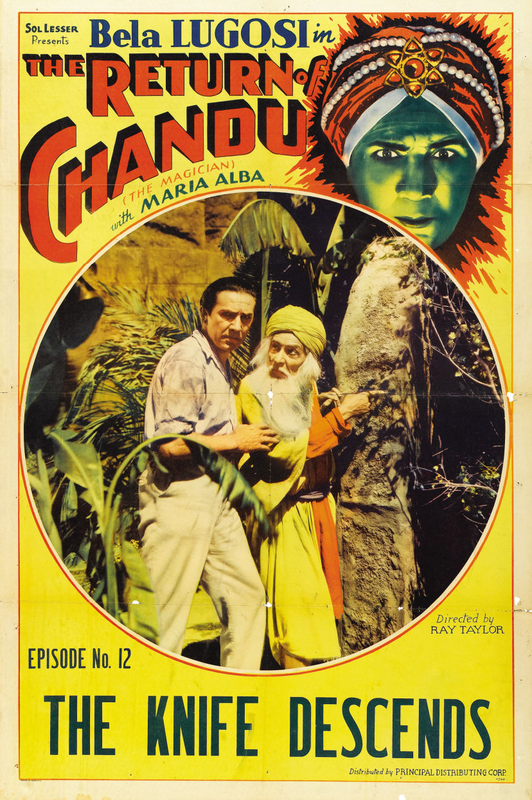 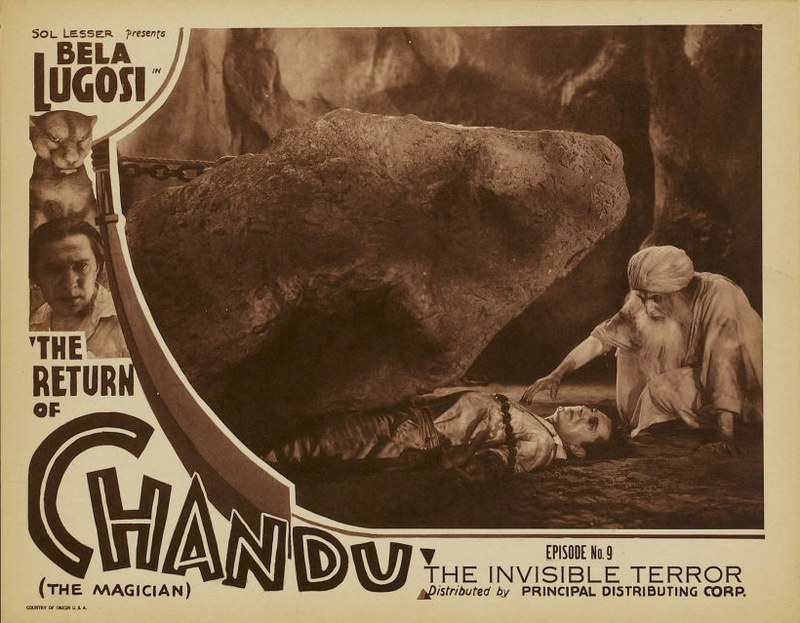 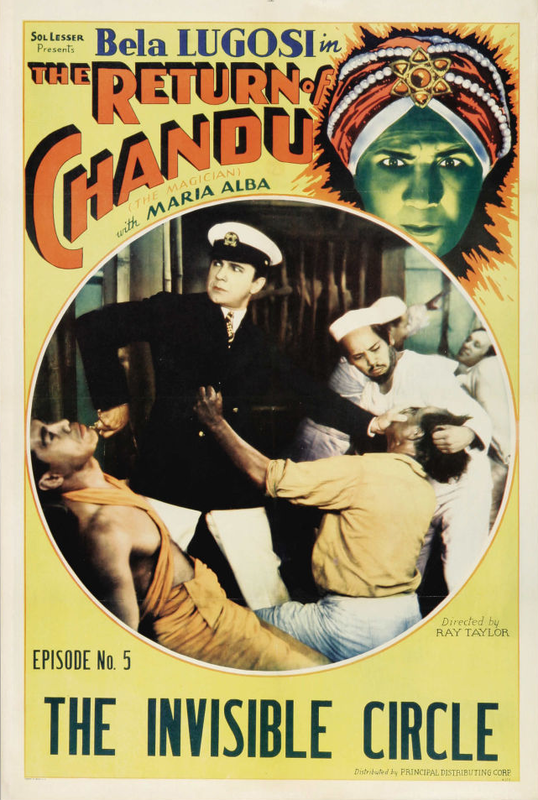 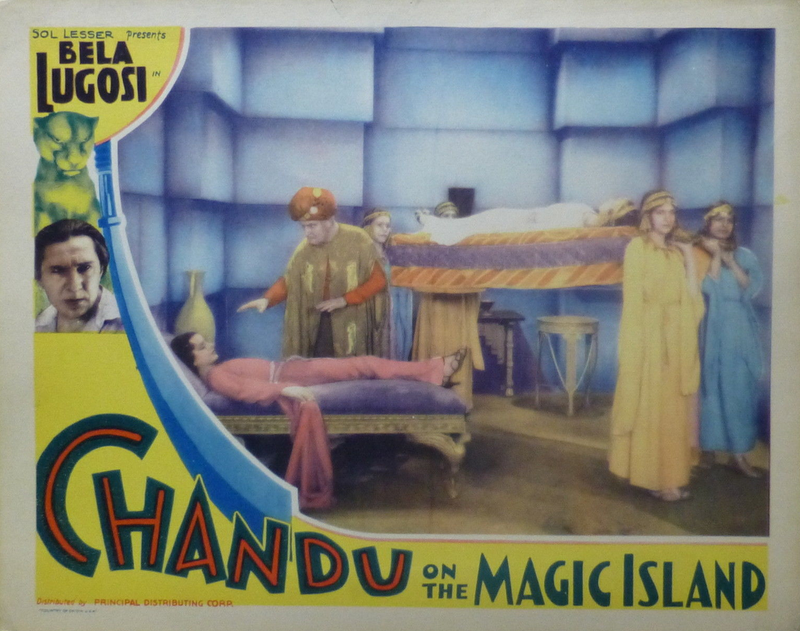 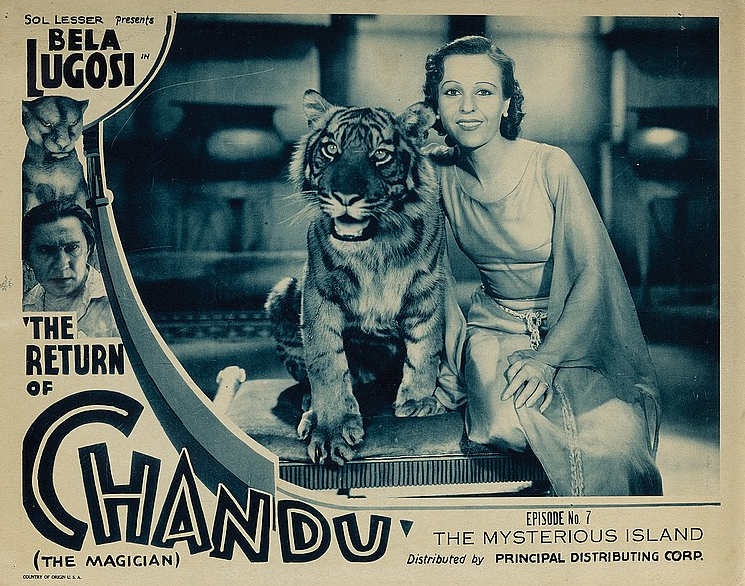 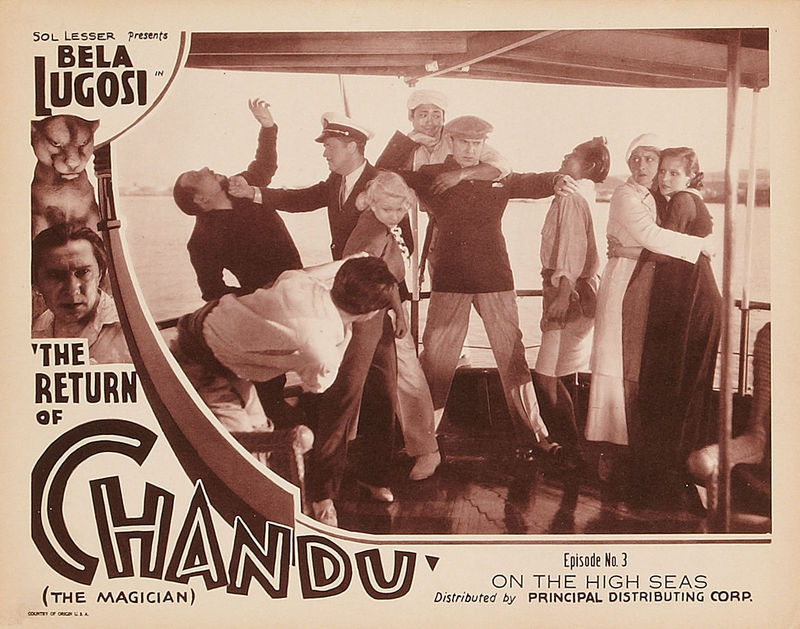 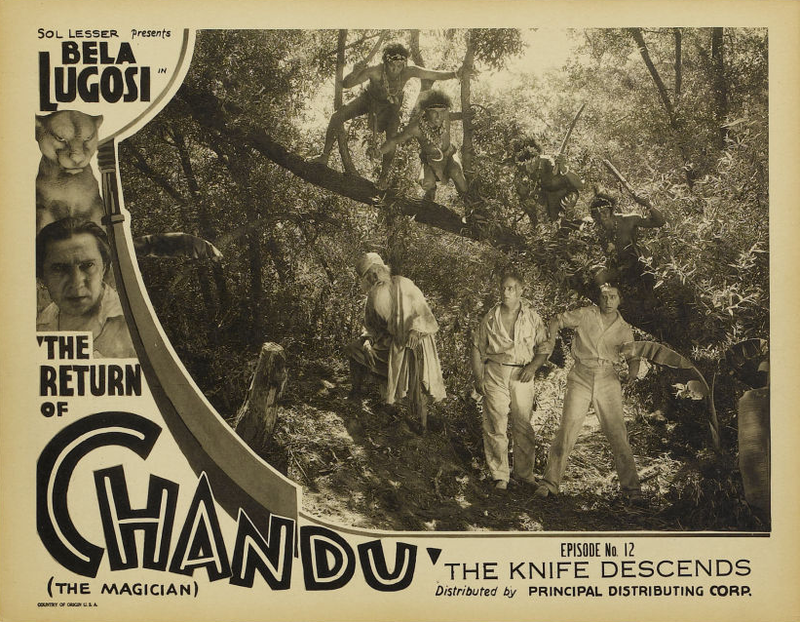 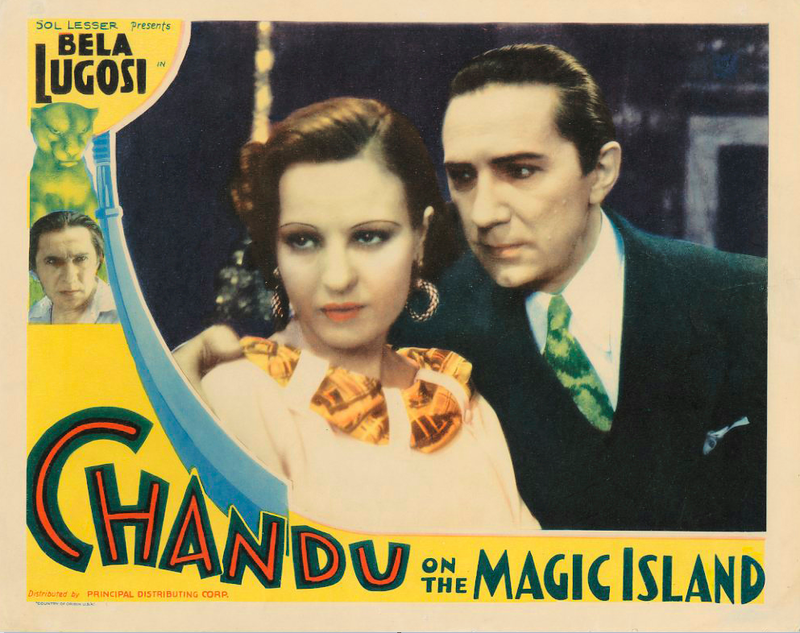 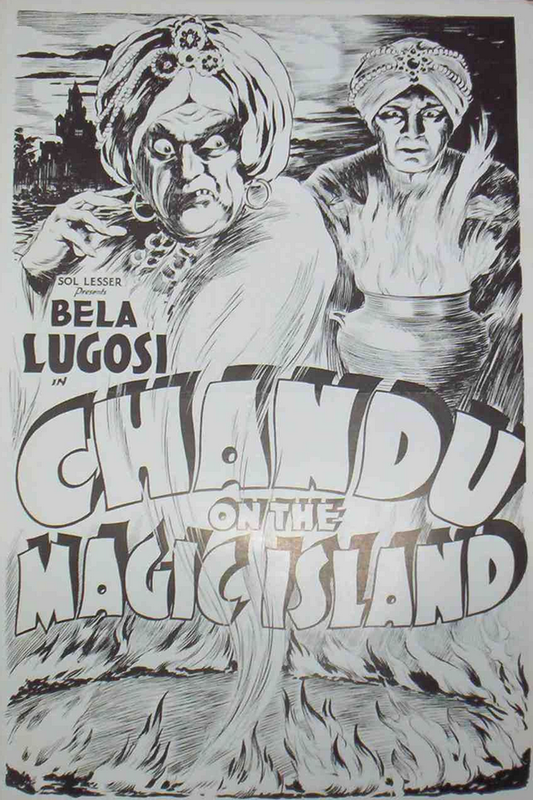 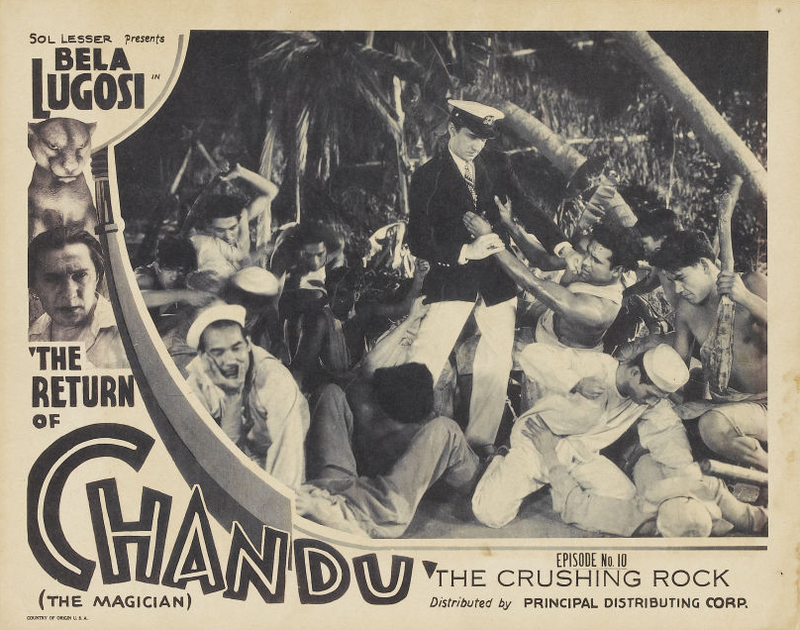 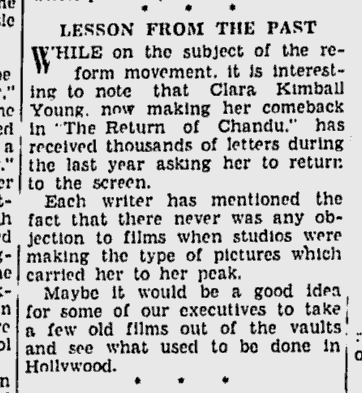 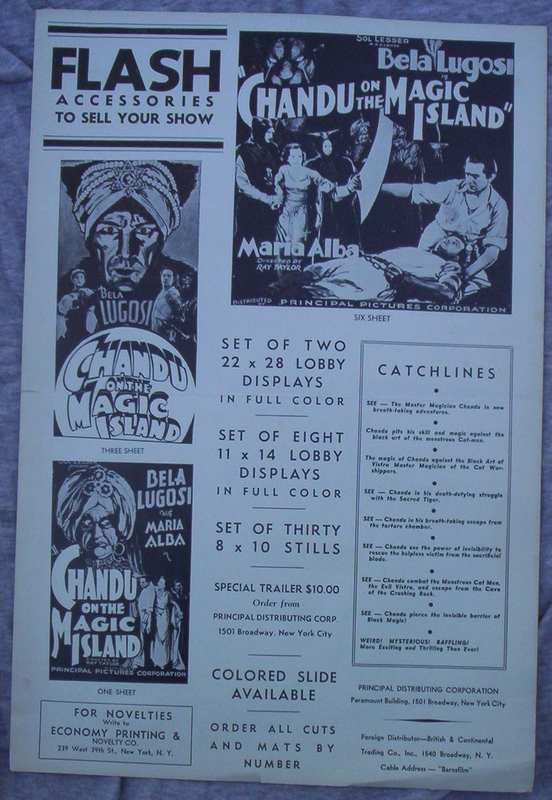 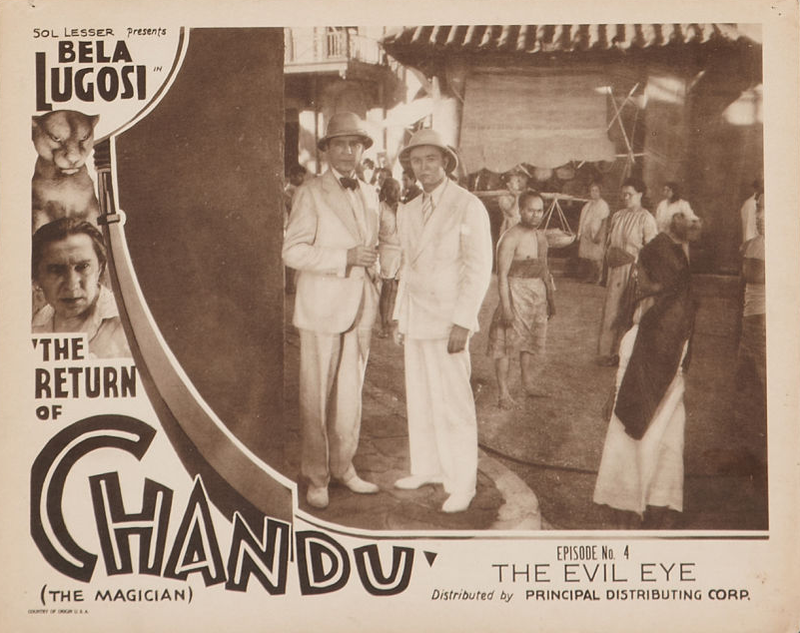 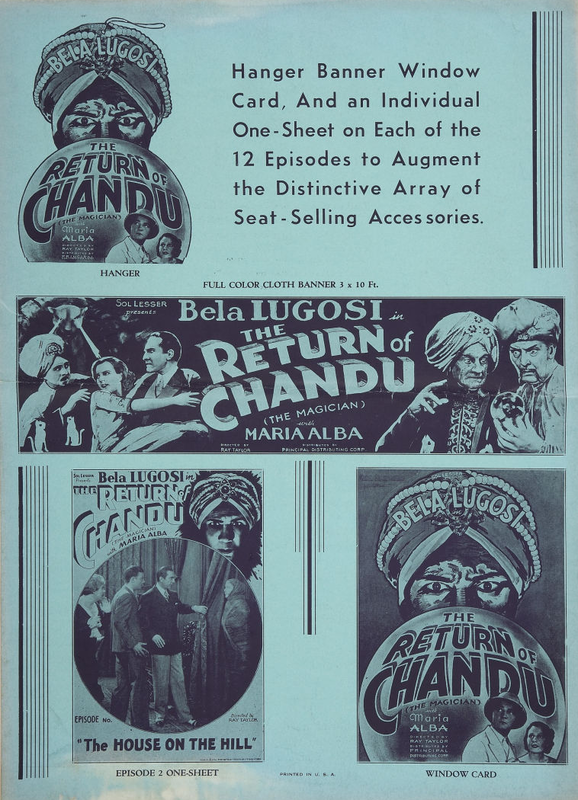 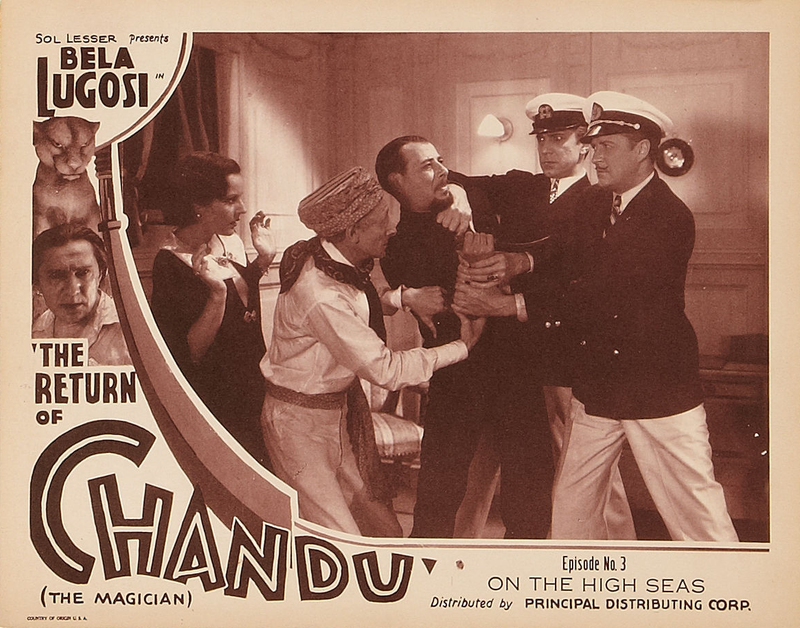 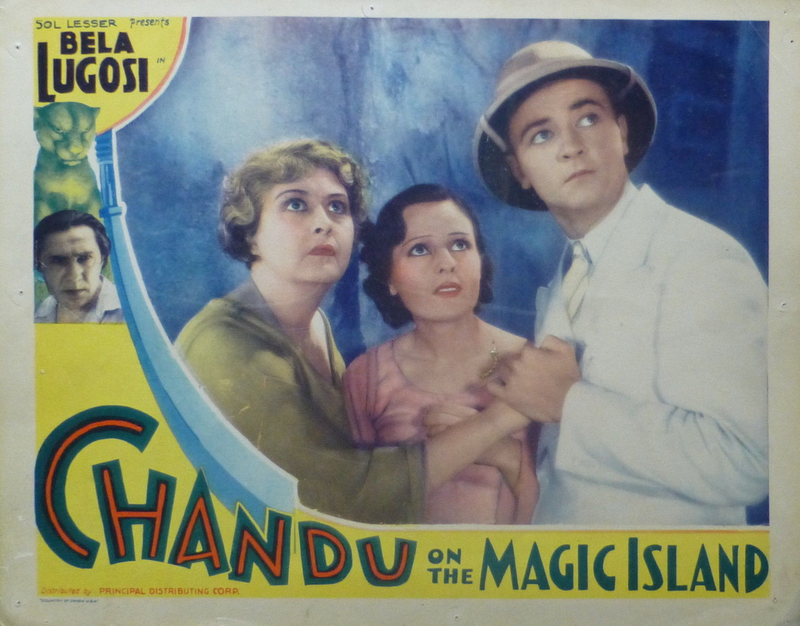 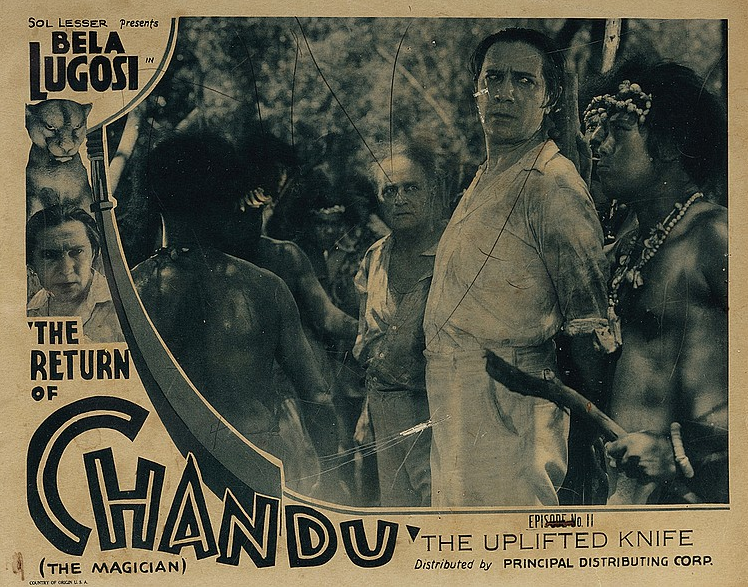 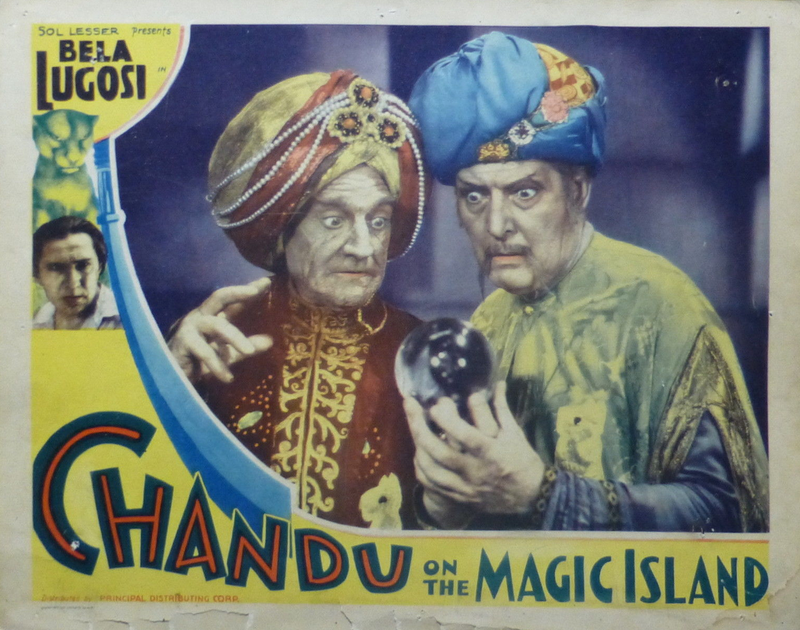 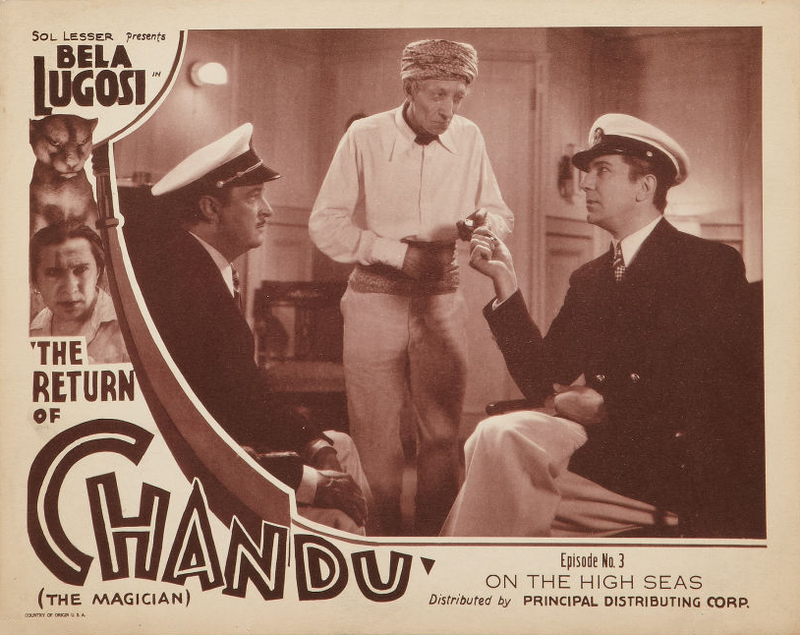 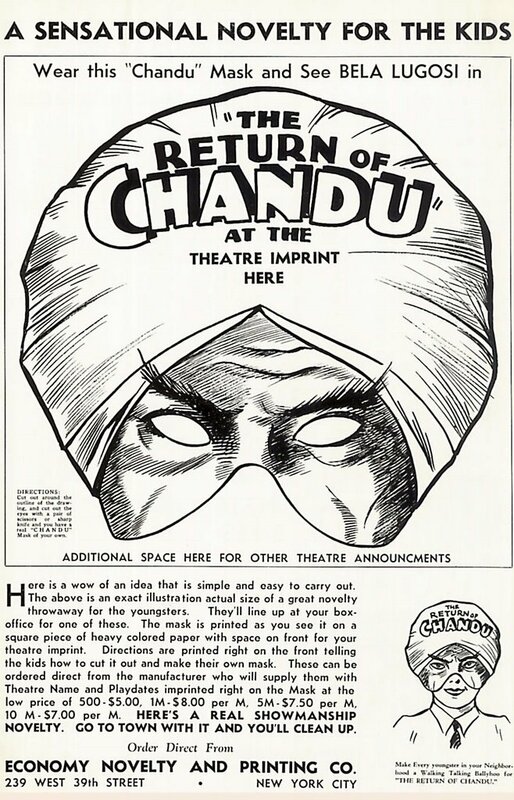 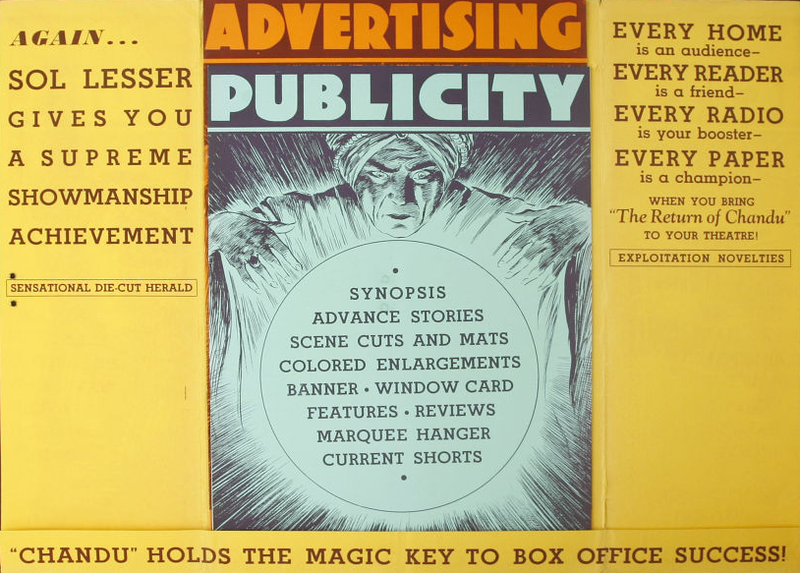 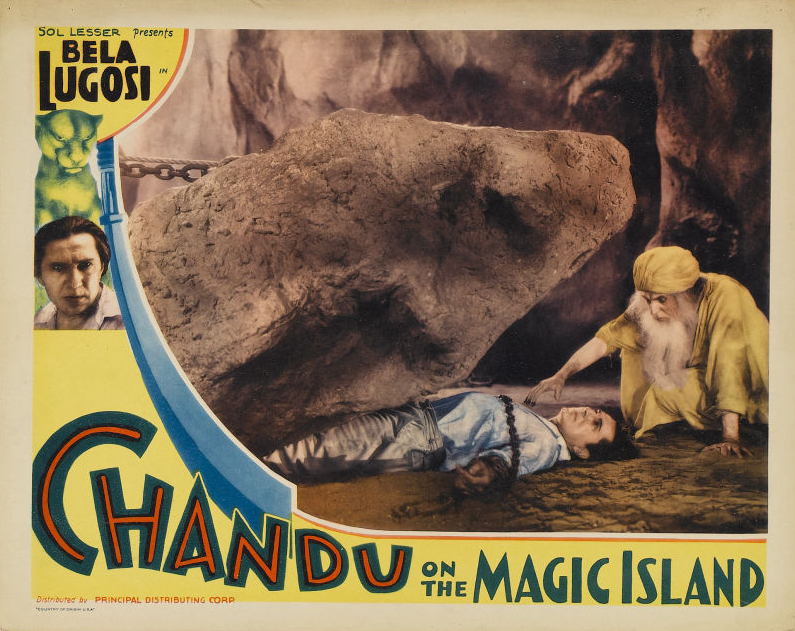 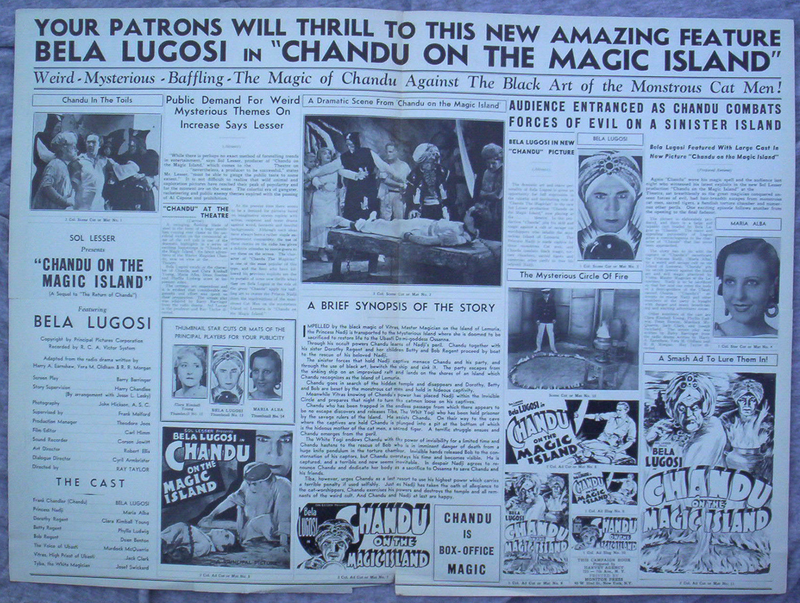 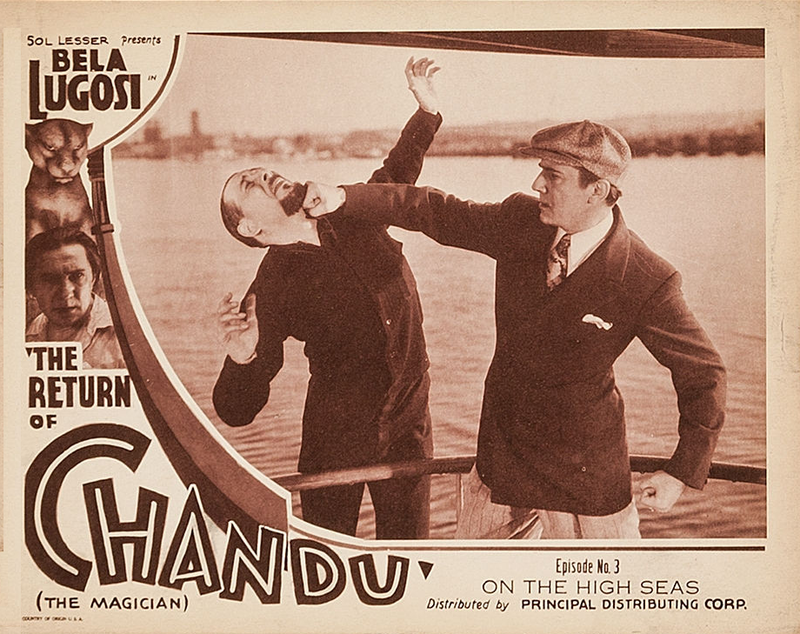 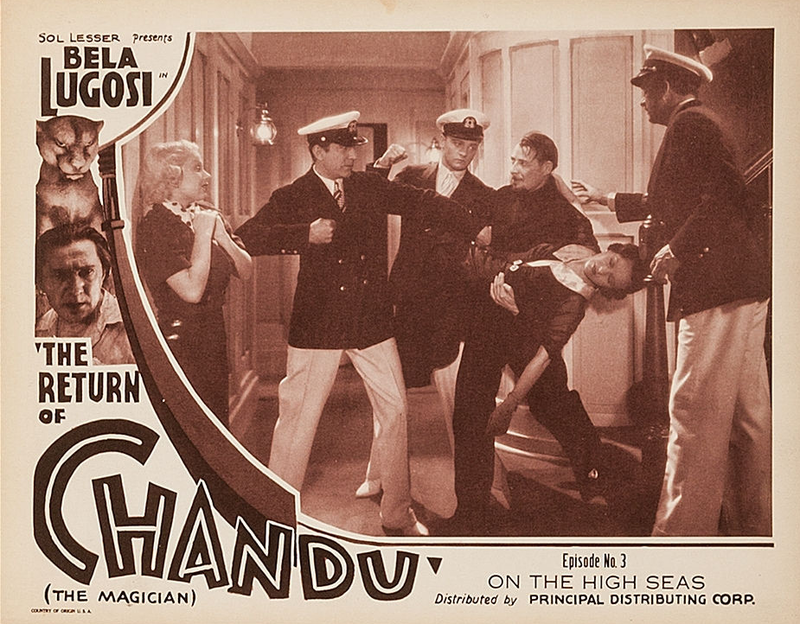 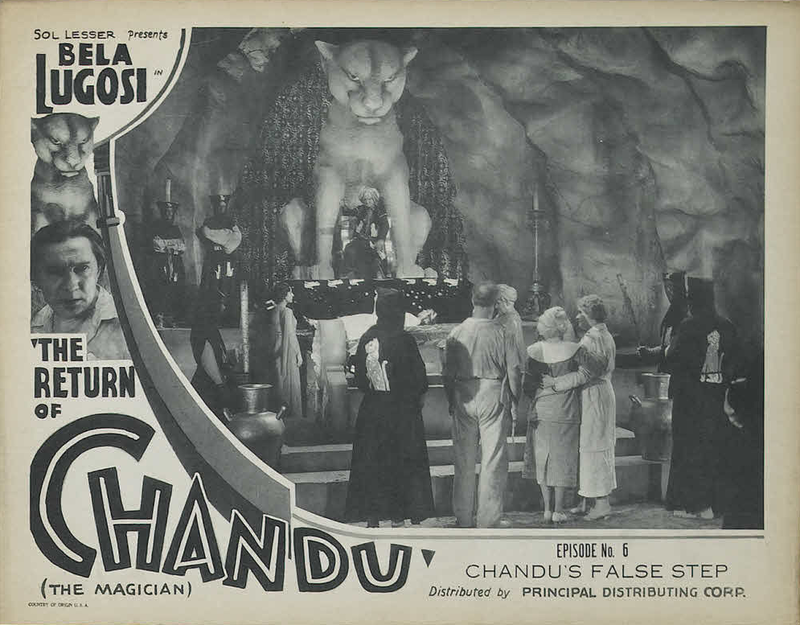 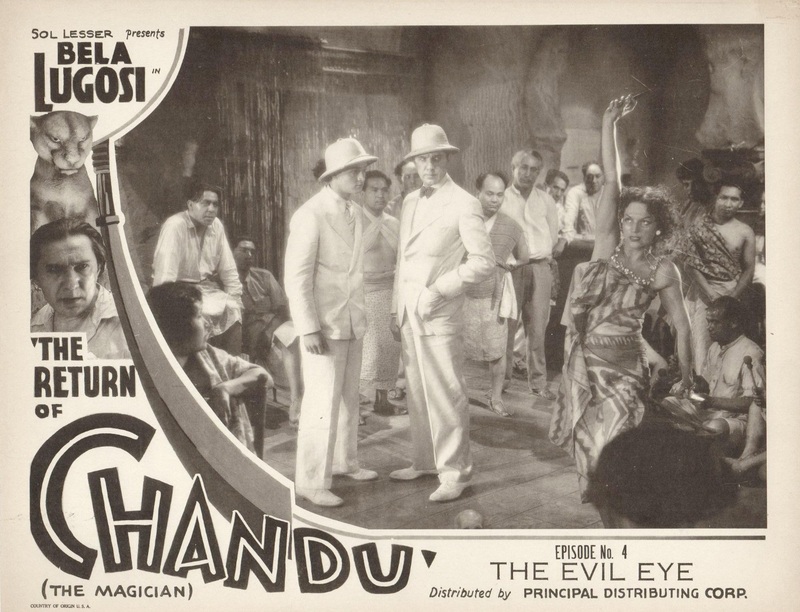 The serial, which used some remaining sets from King Kong (1933), was later released as two feature length compilations, The Return of Chandu and Chandu on the Magic Island. 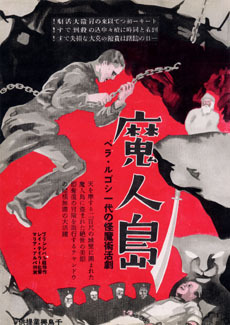 In the mid-1940s an edited version was retitled The Green Scorpion and appeared on a double bill with Tod Slaughter’s “Murder in the Red Barn (1935). 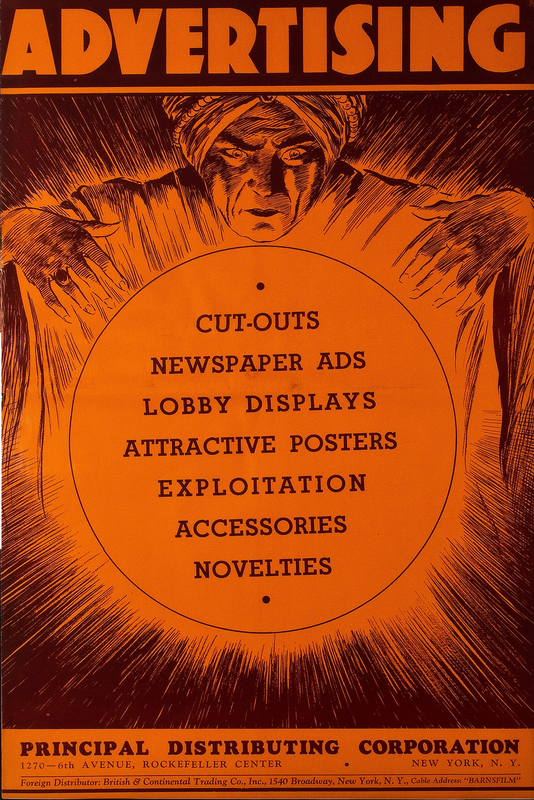 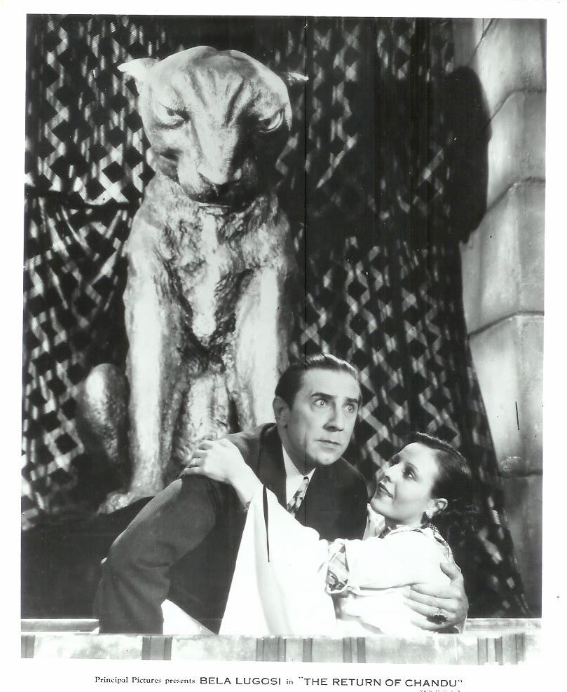 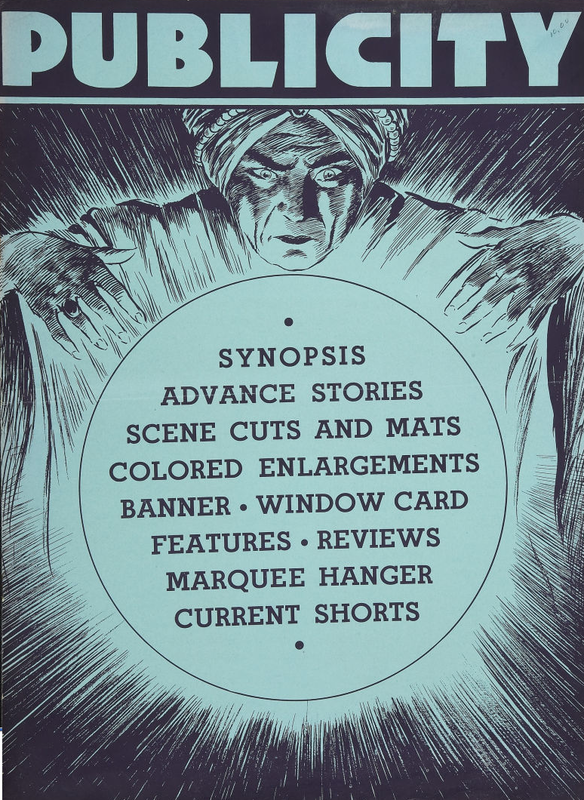 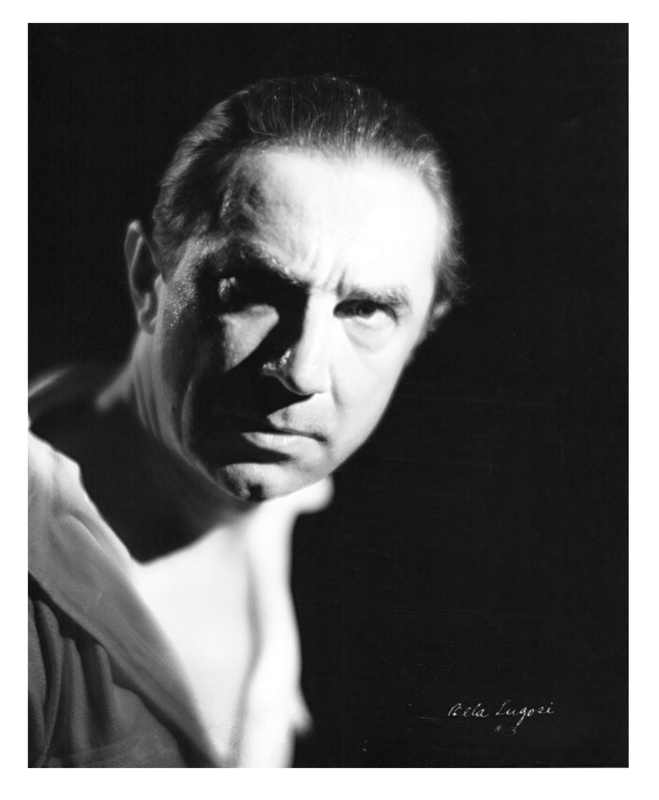 Lugosi filmed his cameo in Gift of Gab (1934) during the filming of the serial. 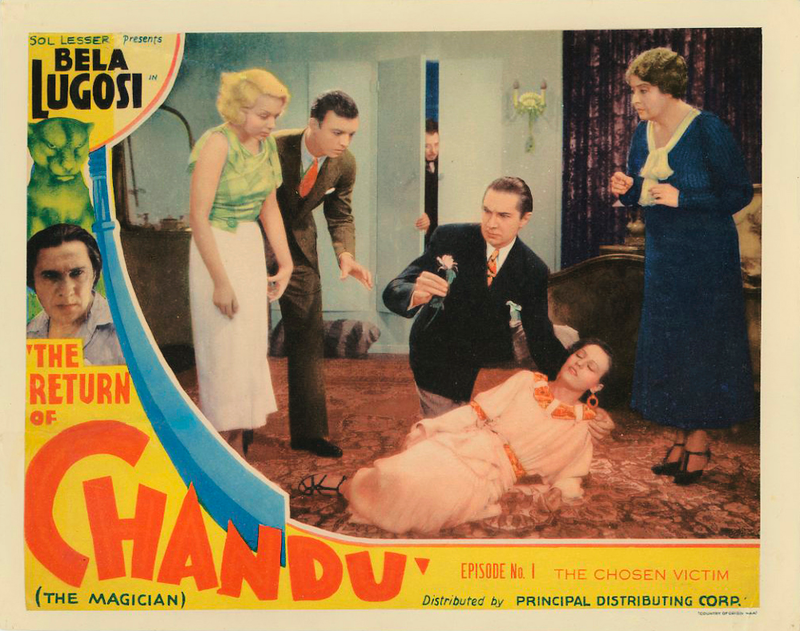 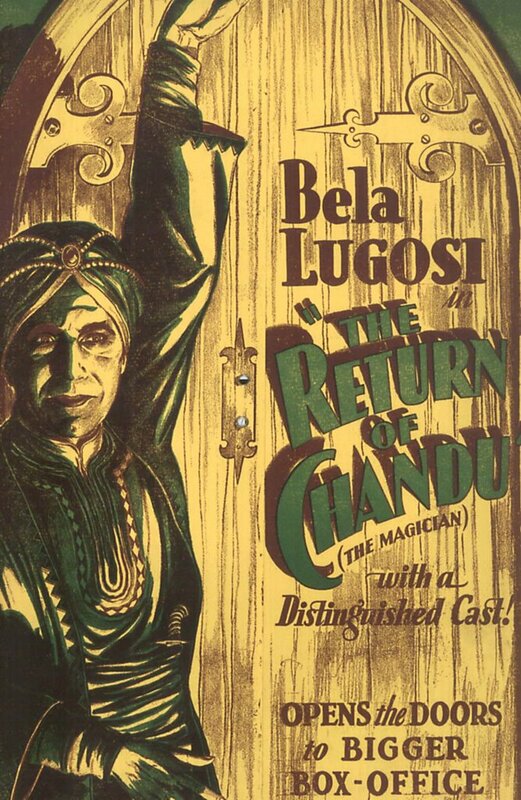 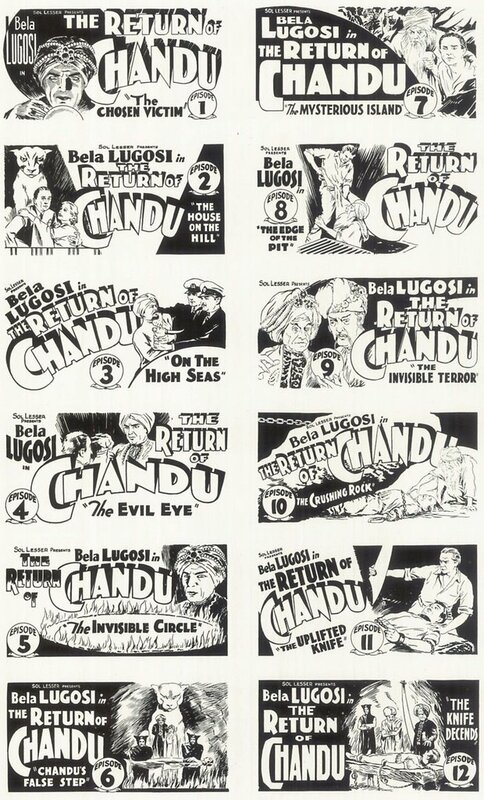 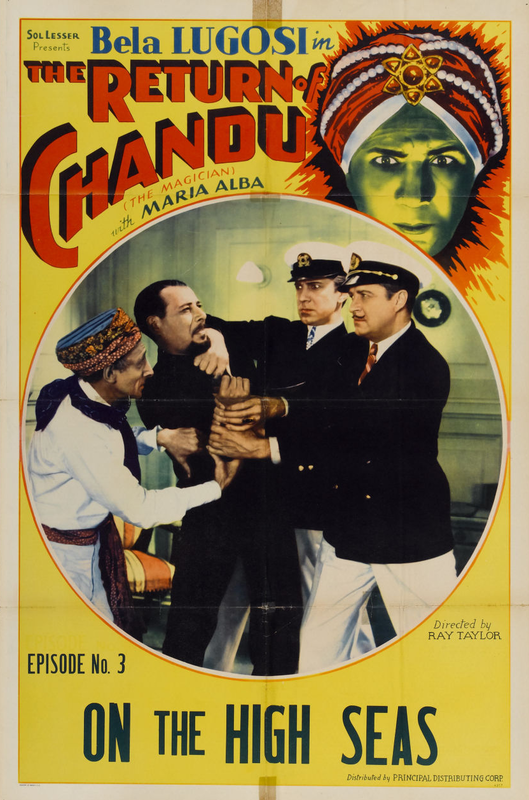 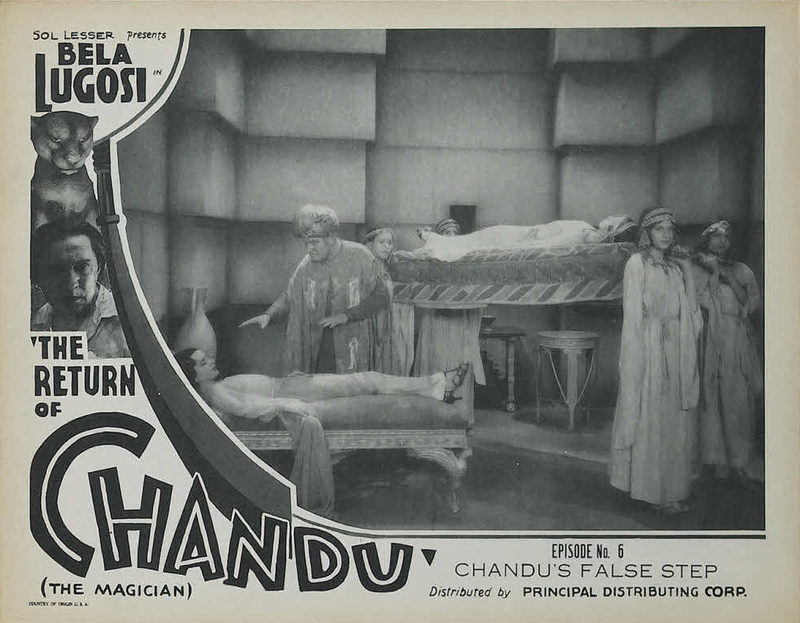 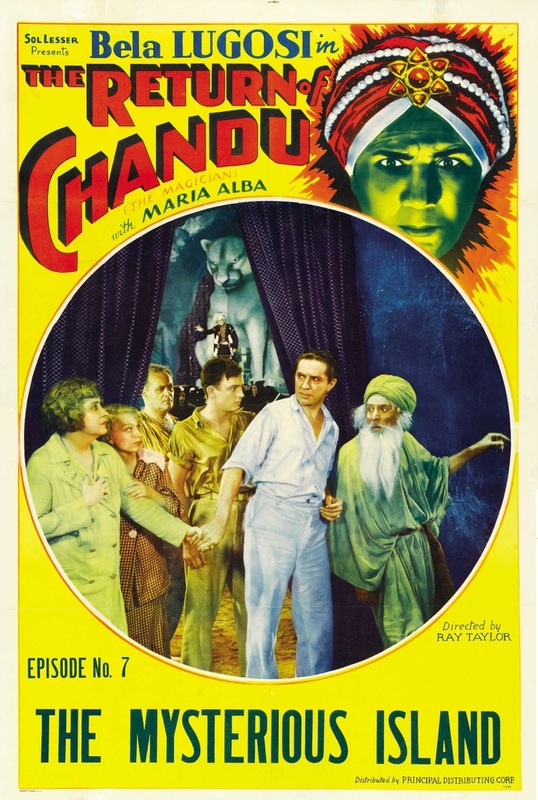 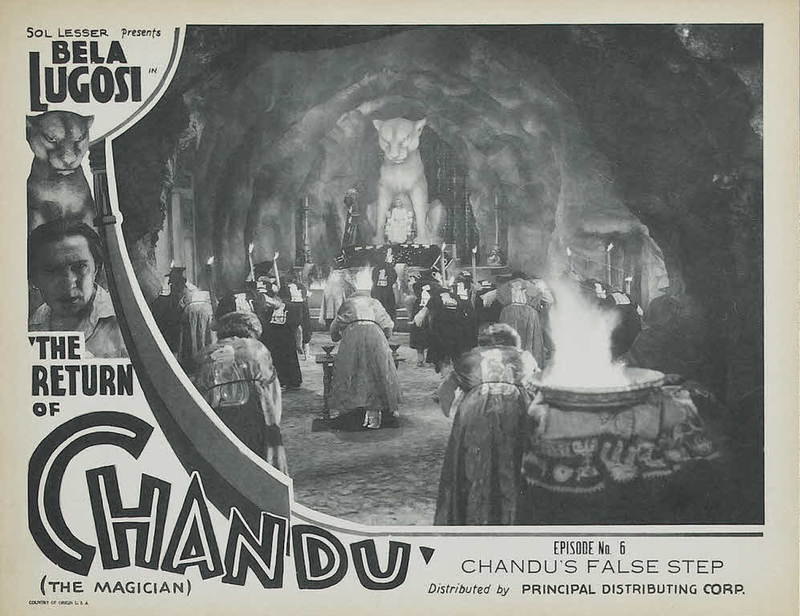 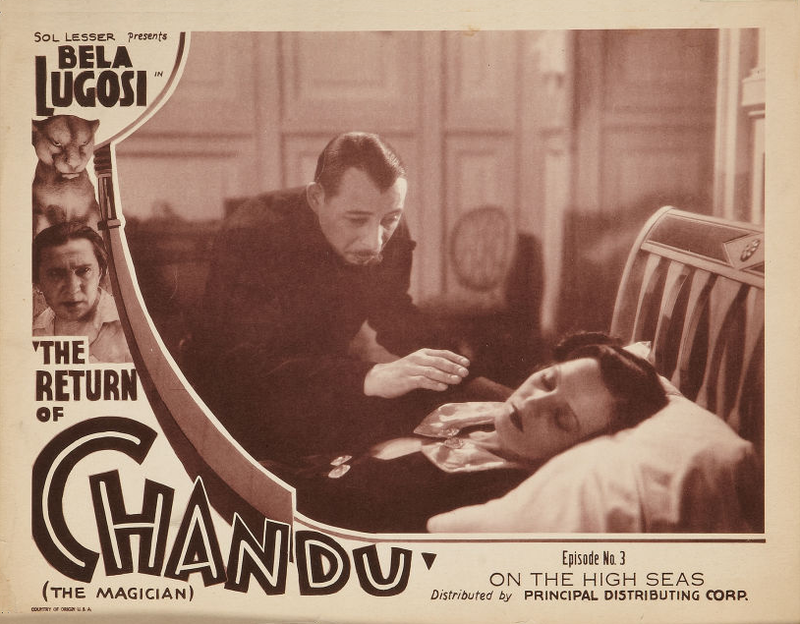 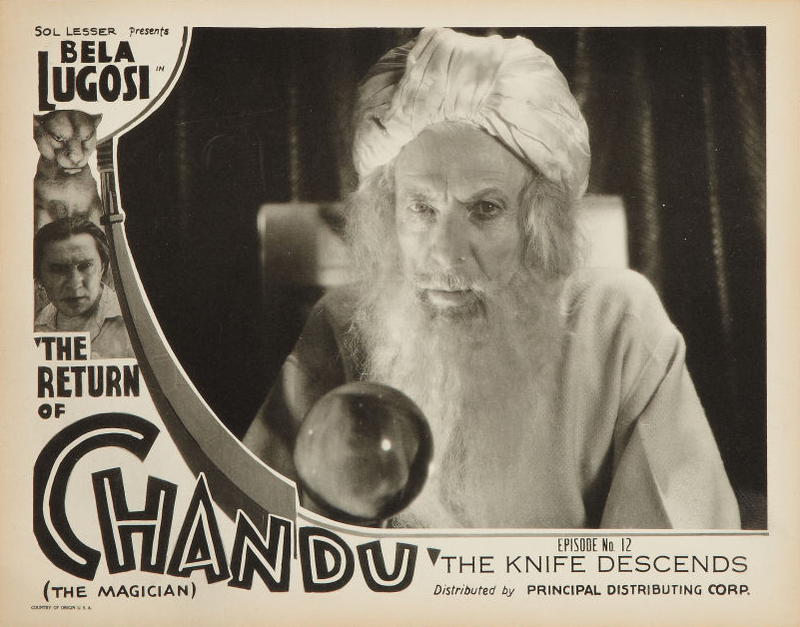 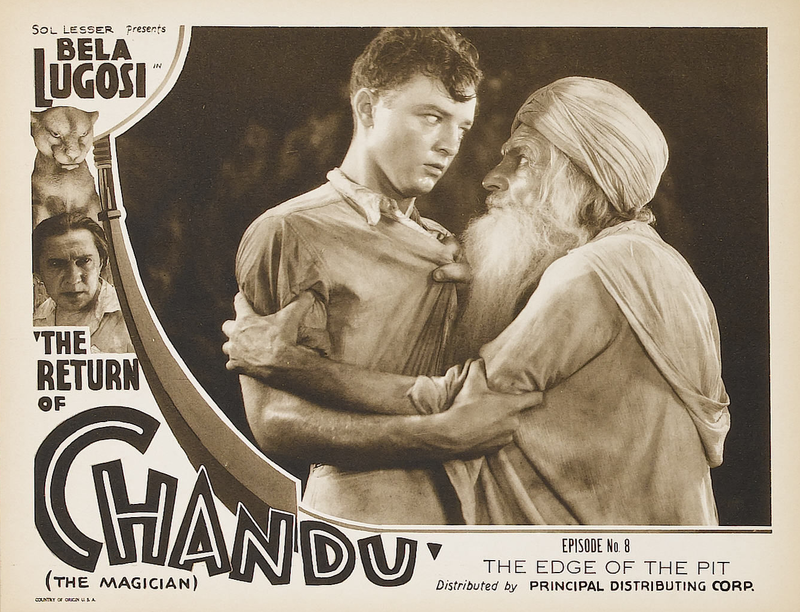 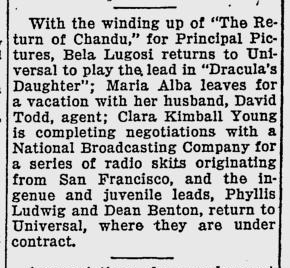 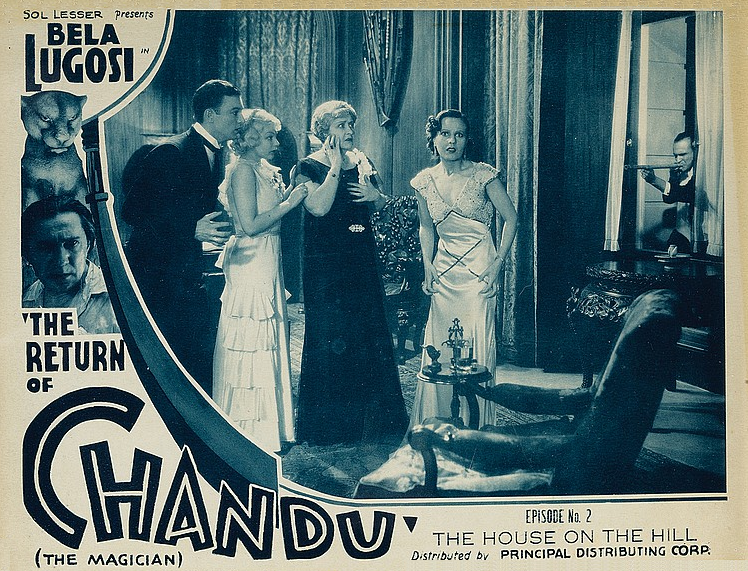 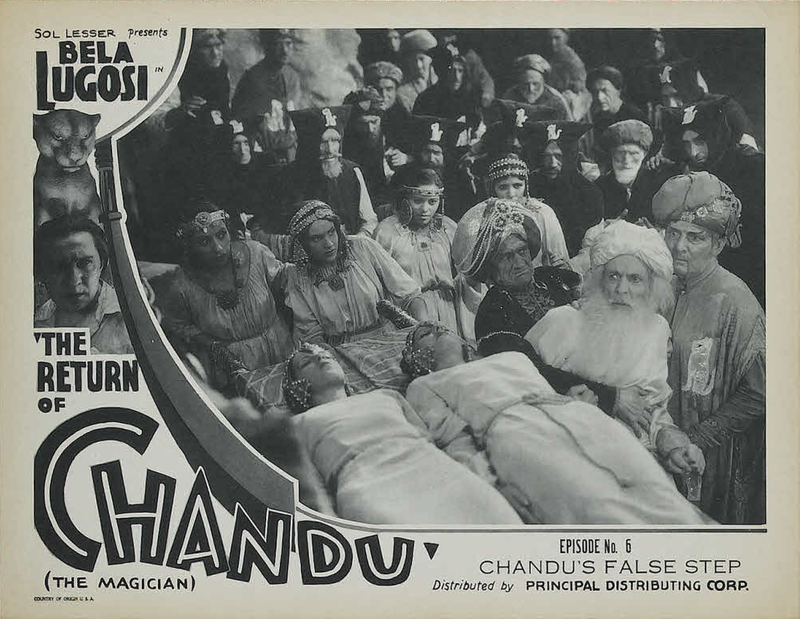 Our 10-year-old great-grandson informed us that “Return of Chandu,” featuring Bela Lugosi, has been playing the neighborhood houses in serial form. 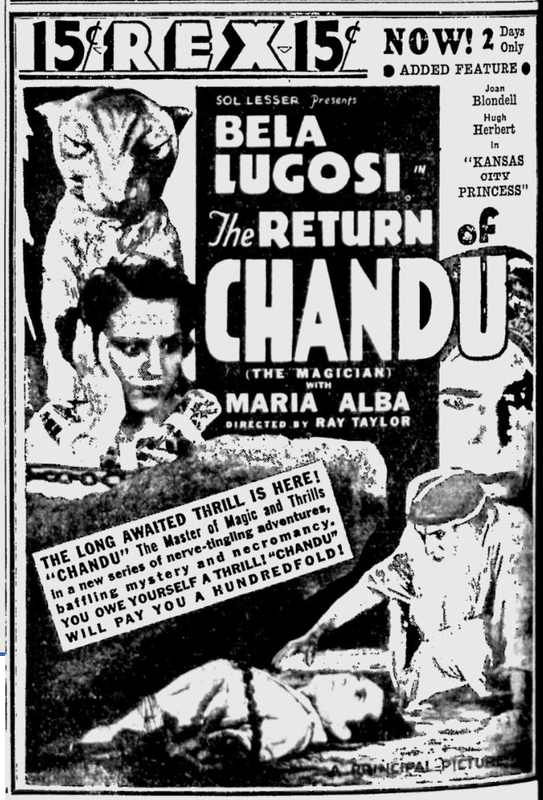 It seems all too likely. 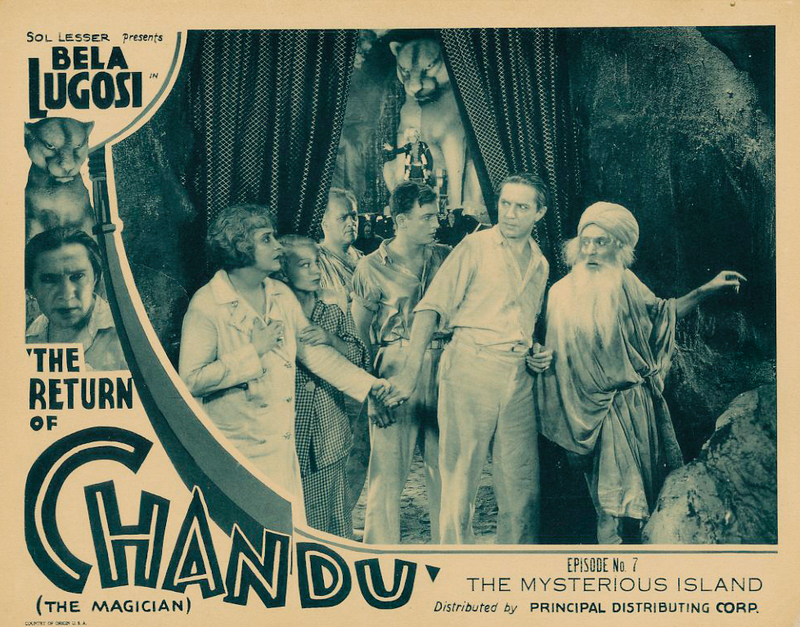 Mr. Lugosi and his magic ring, which permits him to vanish into thin air, much to his enemies’ dismay, saves an Egyptian princess from the sacrificial altar of a sinister Eastern cult. 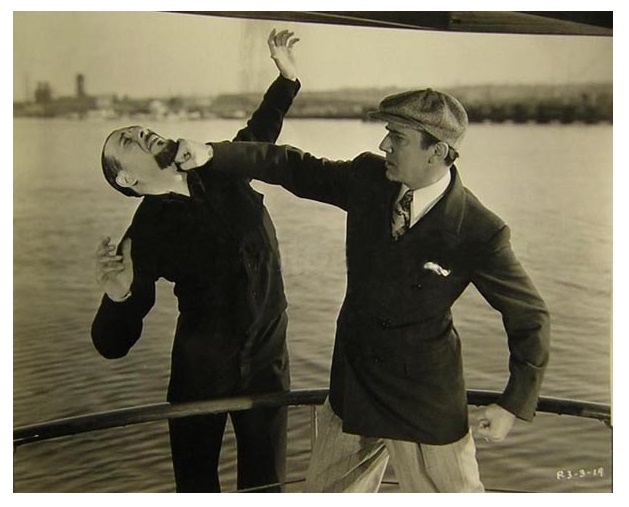 Elementary melodrama, my dear Watson. 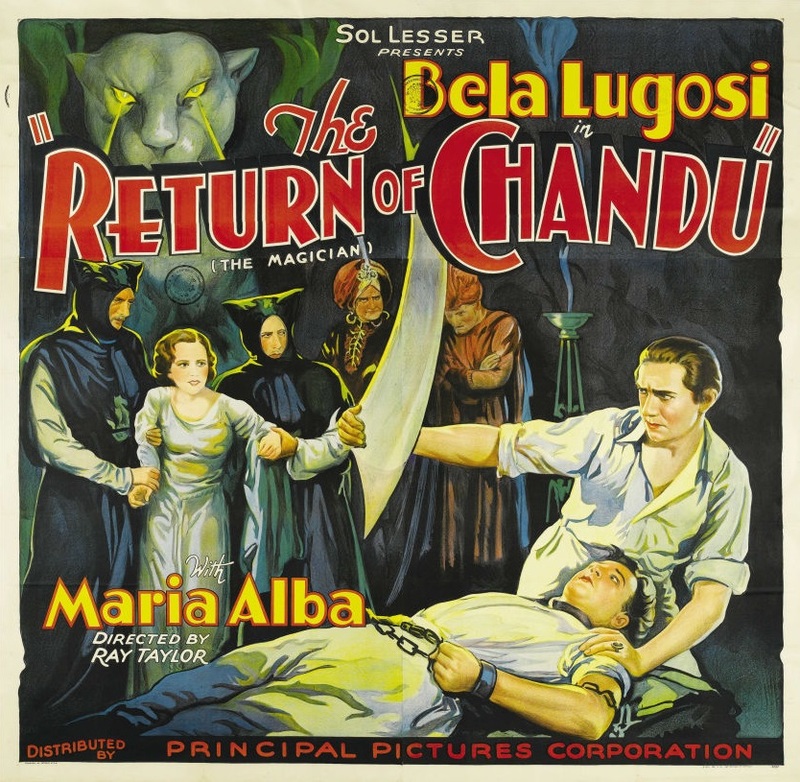 RETURN OF CHANDU, THE – Principal – A Hindu secret society must have an Egyptian princess (Maria Alba) for sacrifice. 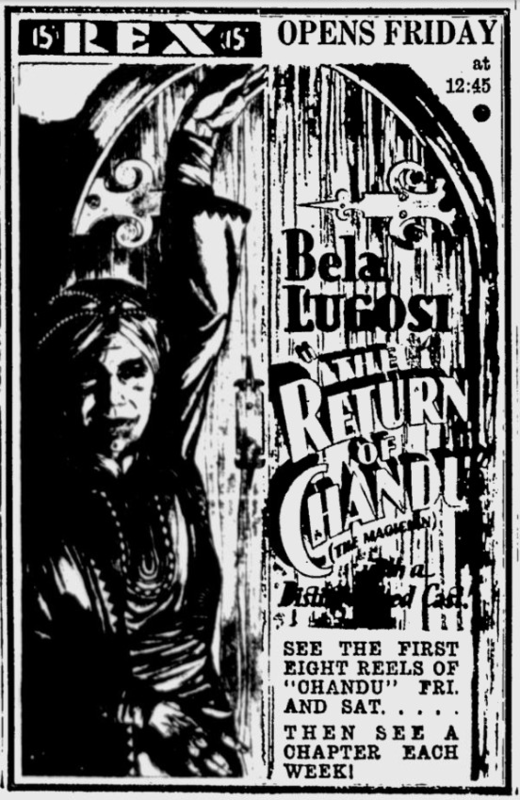 Spookily thrilling. 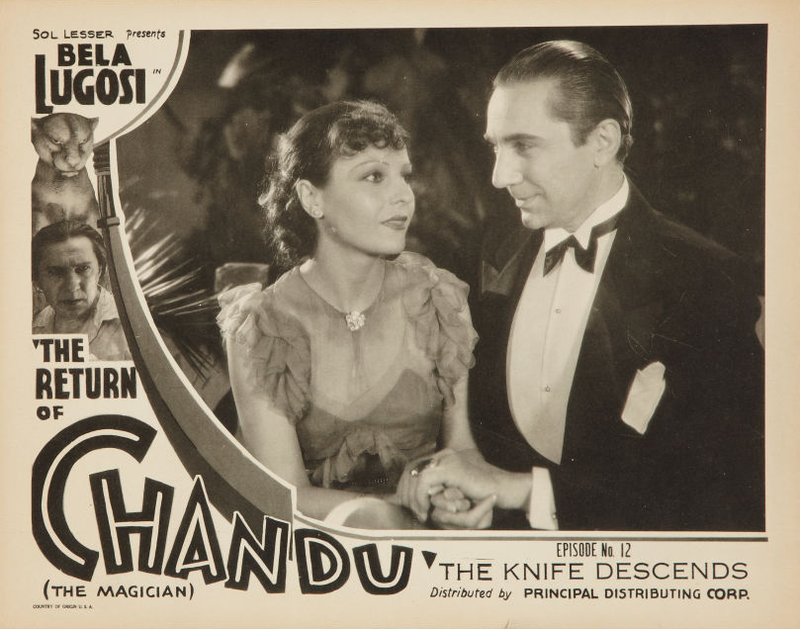 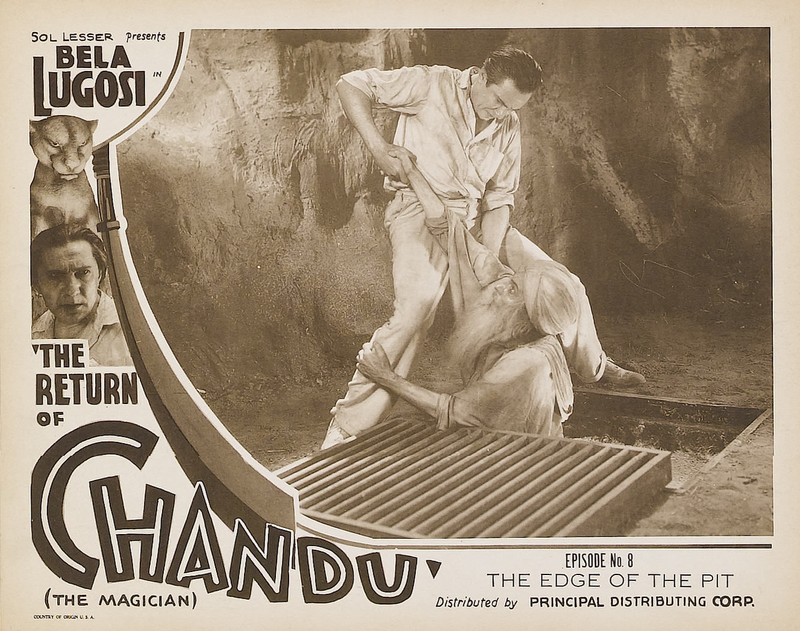 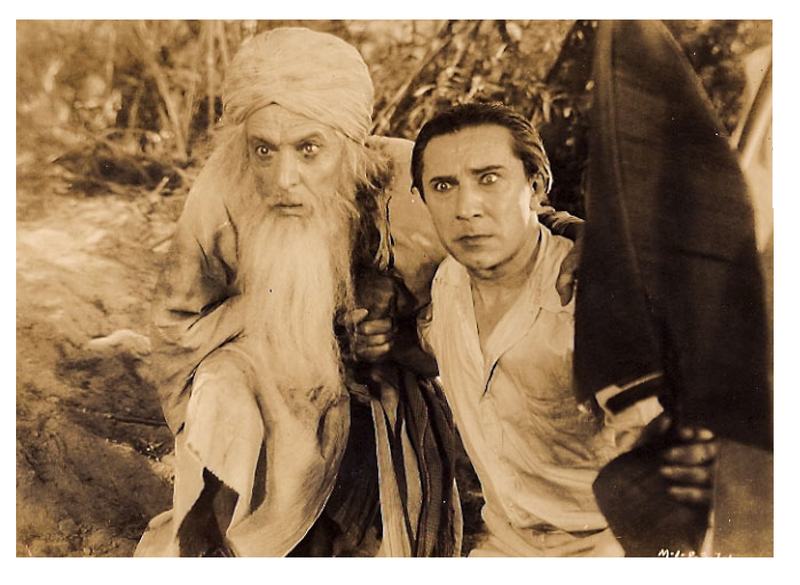 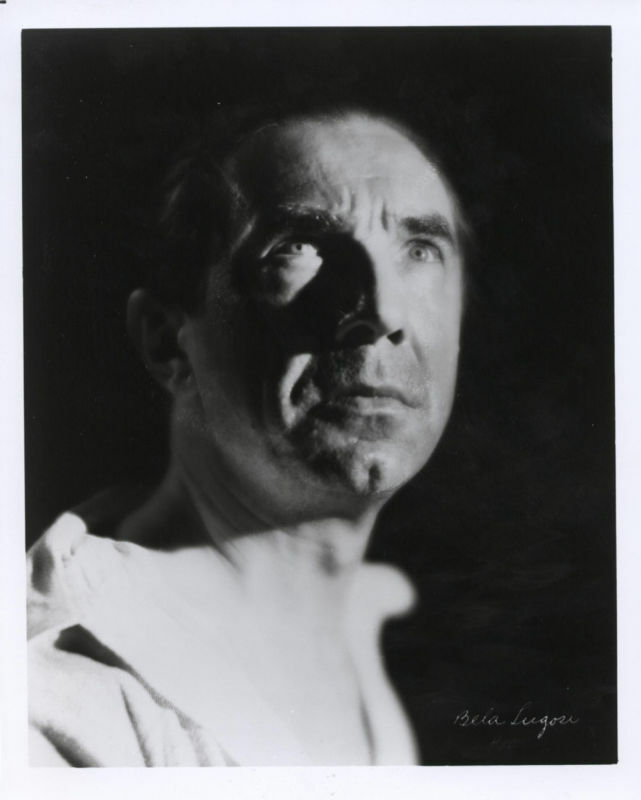 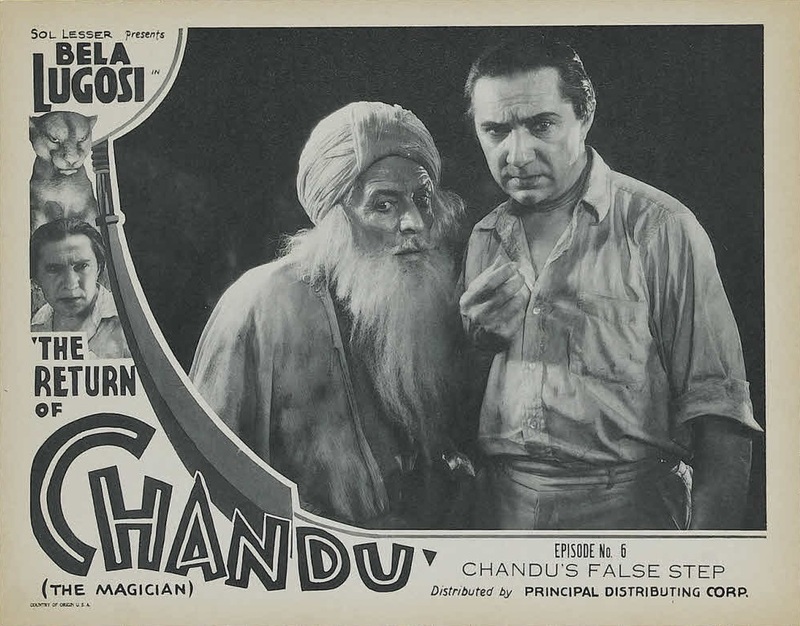 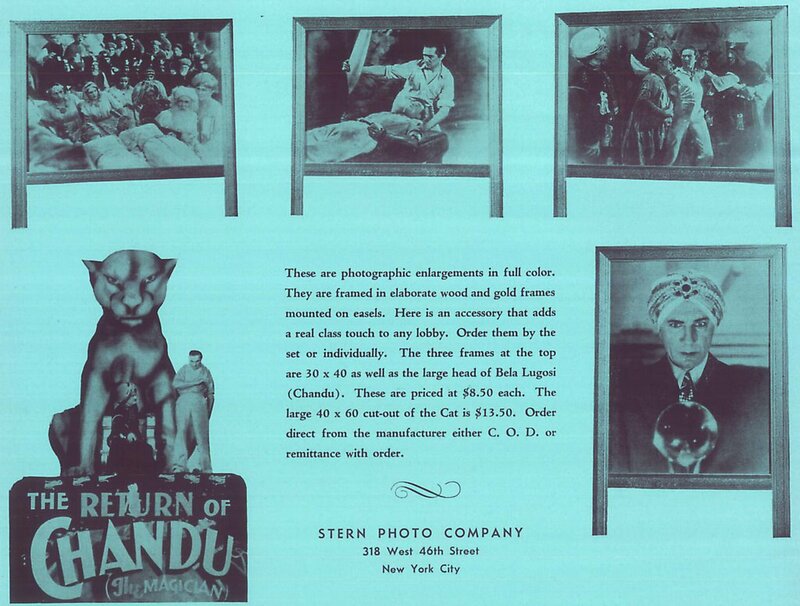 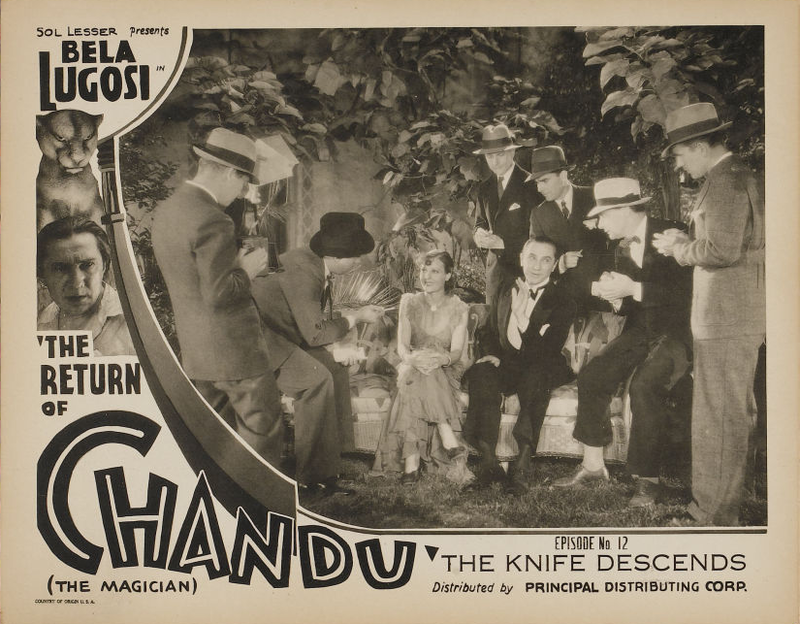 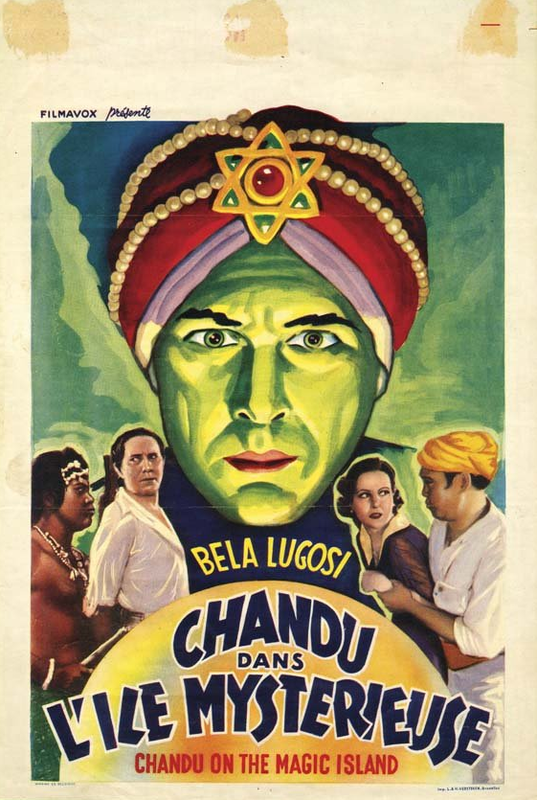 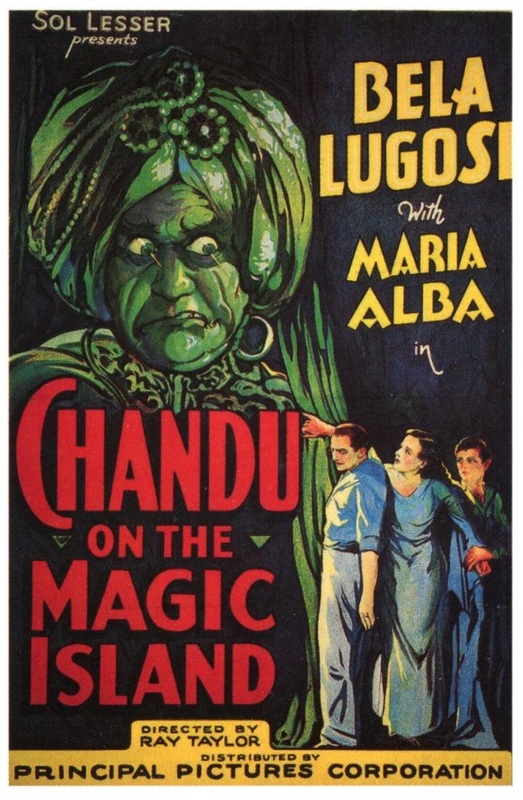 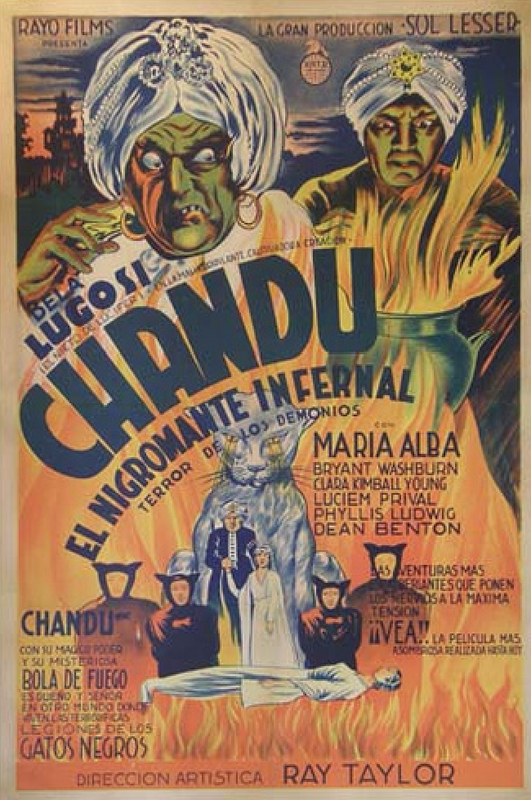 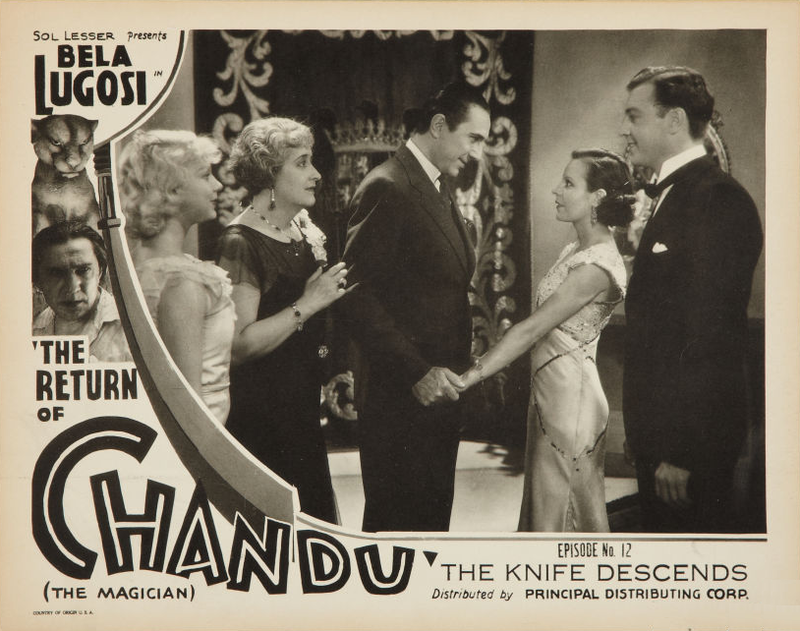 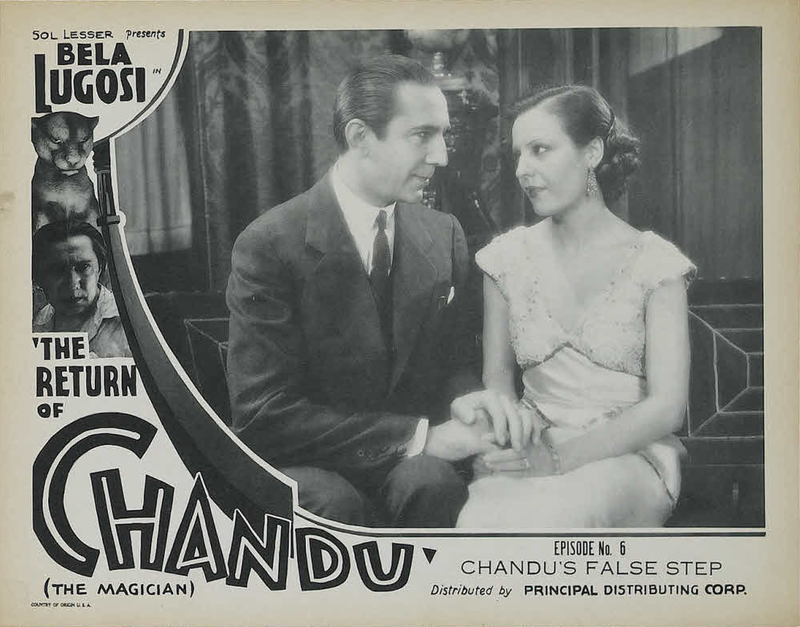 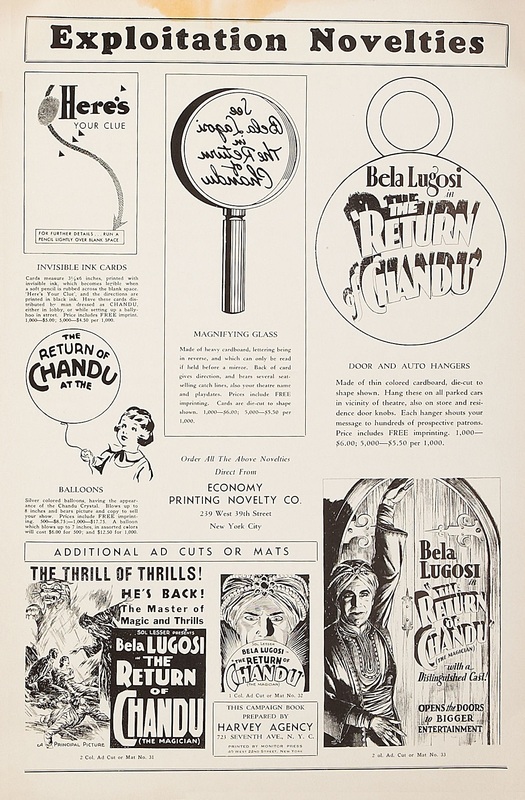 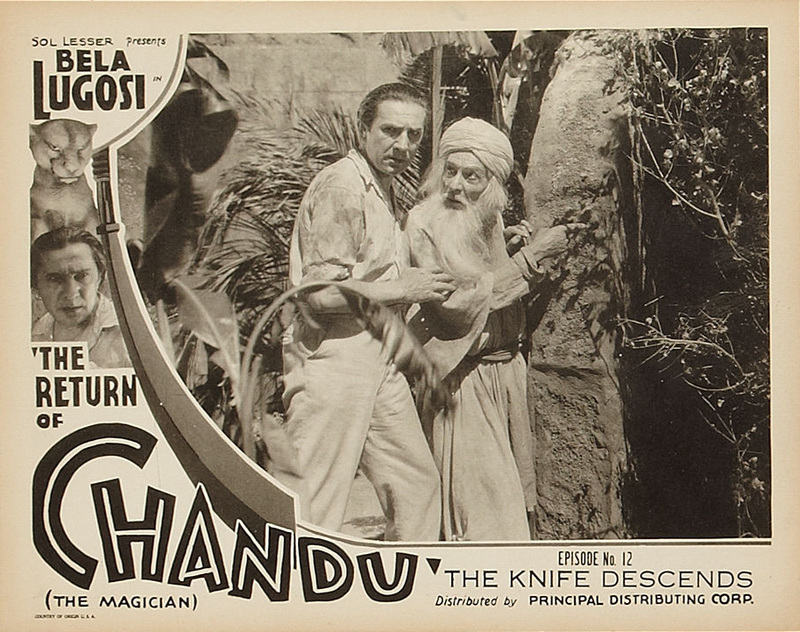 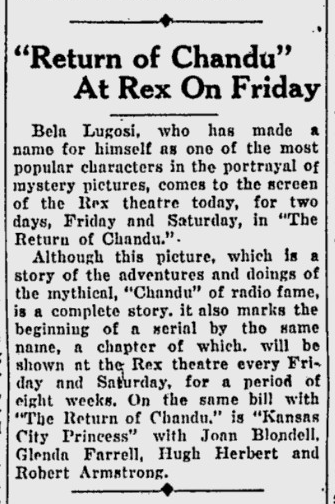 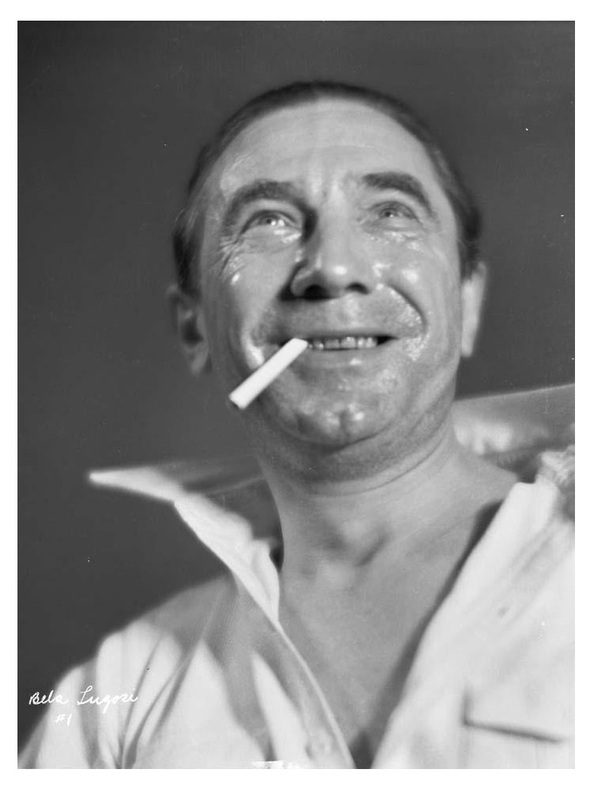 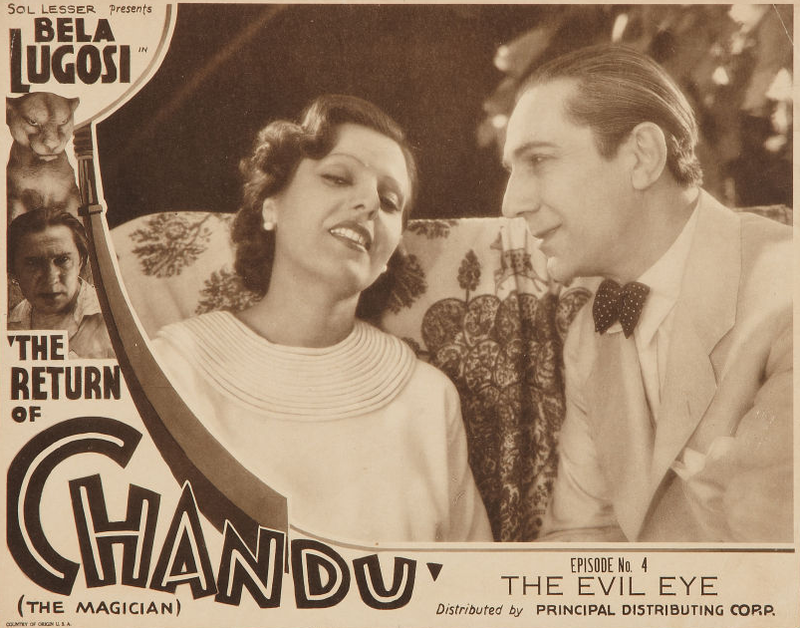 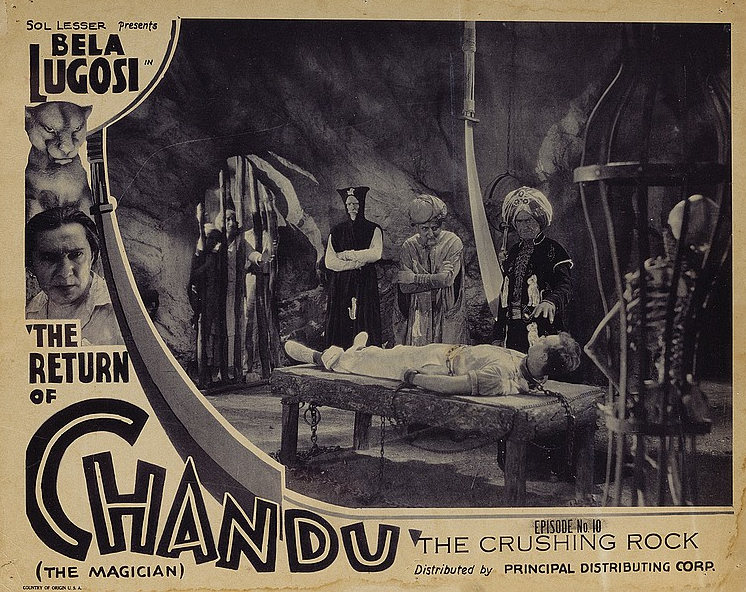 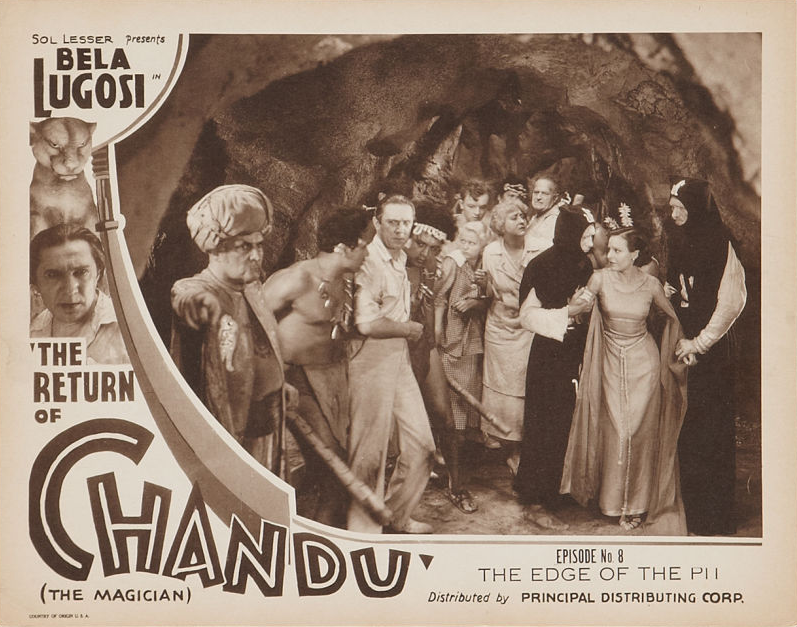 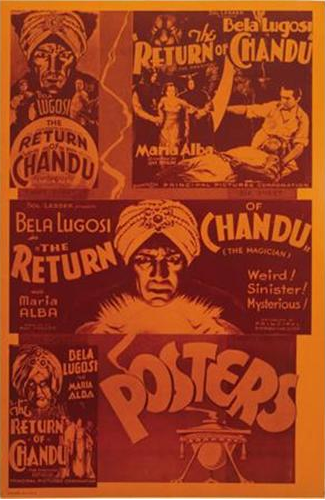 Bela Lugosi is Chandu. 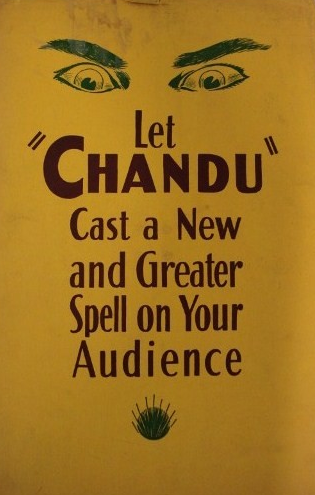 Good for the kids. 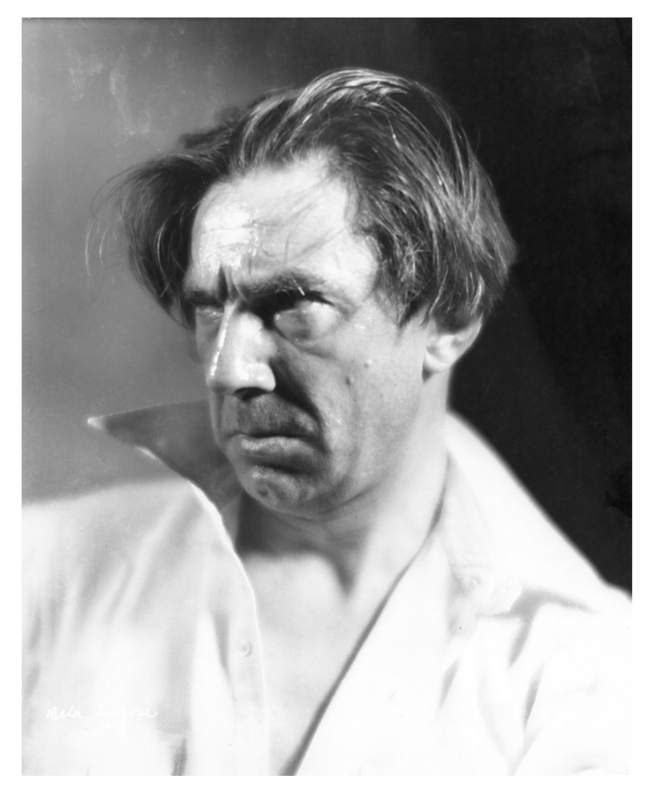 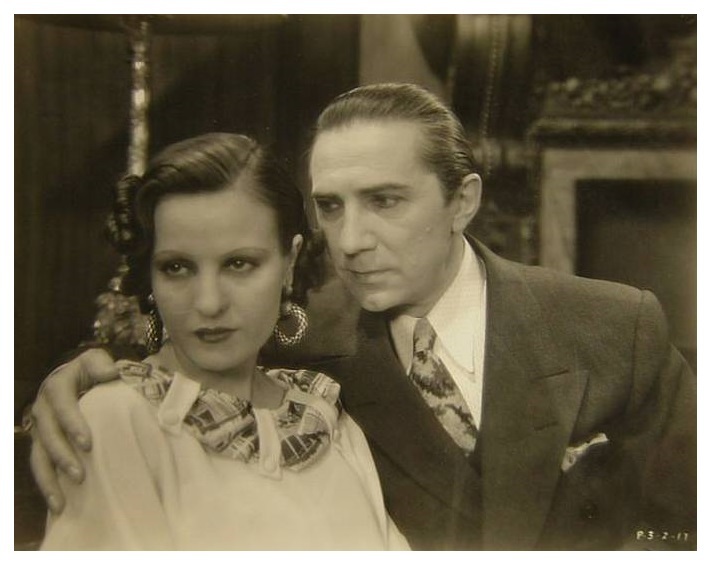 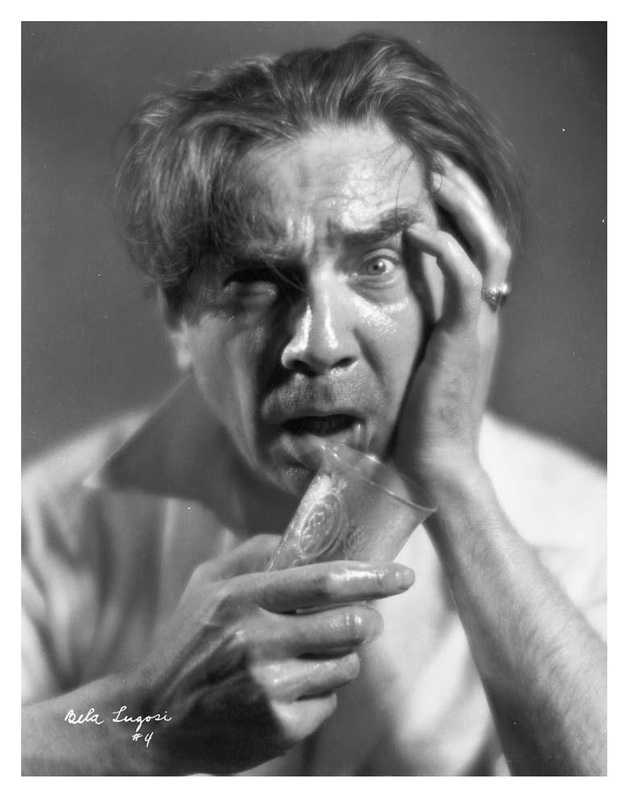 NEW BRITAIN – Al Montefalco has secured rights to “Murder in the Red Barn,” a British-made production starring Tod Slaughter, and “The Green Scorpion,” a Sol Lesser production starring Bela Lugosi. 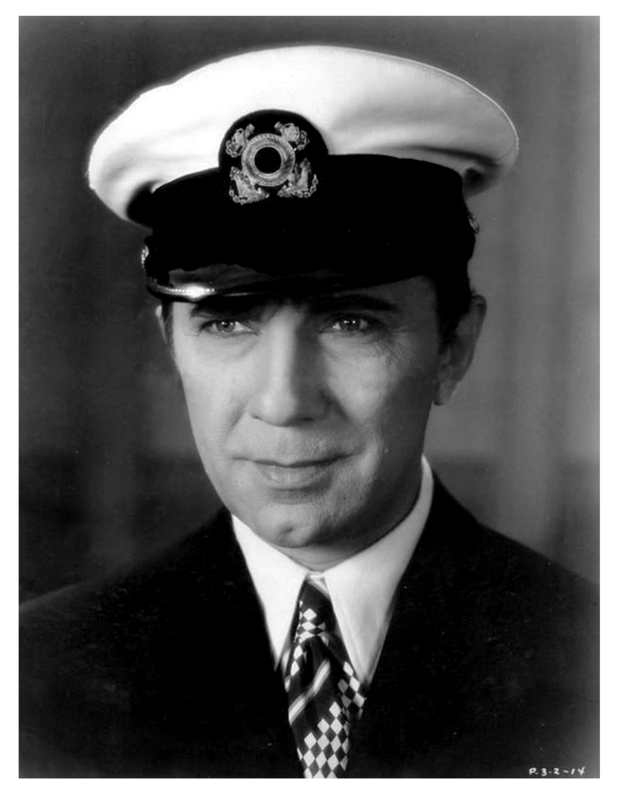 Negotiations are under way for Film Classics to release the pictures coast-to-coast.